The electric motor is just behind the chain ring. The battery hangs below that. Eventually we might move the battery further back. For now, this puts about 15 pounds up high on what Ted calls the “power pylon.” I need to do more test riding to understand what this means for stability. My initial rides weren’t bad, but I need to see how it feels in real riding. The motor controller is off in this photo. But it shows speed, and you can set the assist from 1-5. I rode it on 1 and then 2, and it was really powerful. There are three important controls here. 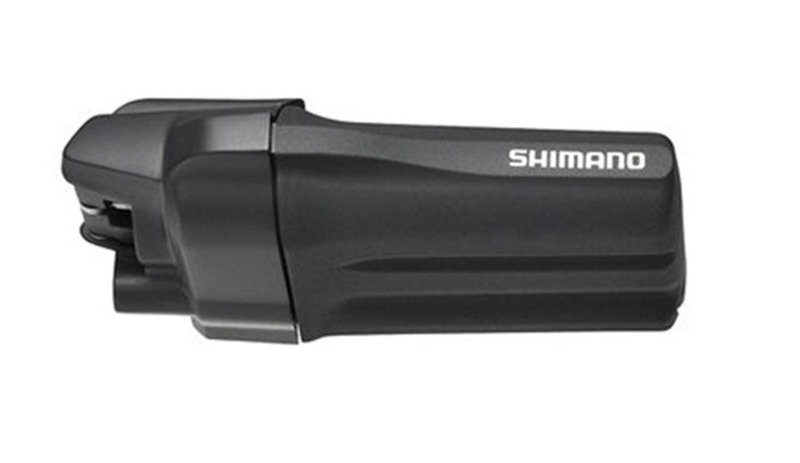 The top one is the electronic Shimano Alfine shifter. Hit the button to up. The left side to shift down. It’s a nice shifter, and has 11 speeds and a 4.09 ratio on high to low gear. But there is no backpedal brake. I think we’ll try the Shimano 8 speed with internal coaster brake. That’s what I use on the travel bike, and it works great. But the ratio is much lower…around 2.5. 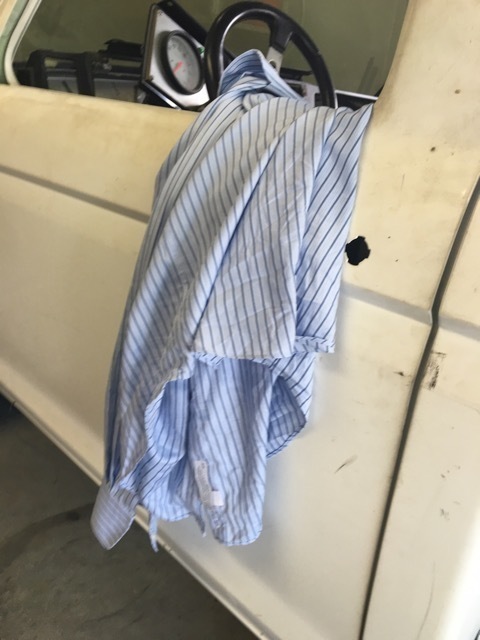 It was really hot and I had to take my shirt off for test riding. Here’s some of the stats of the battery: 36V, 12A max current, 6A nominal. The racing seat includes an integral headrest. Hmmm, that means it doesn’t fit in the car. Not to worry, nothing a hack saw can’t fix. Sometimes hardware can be modified almost as easily as software. Fits perfectly now. This video shows my first test ride, with out the assist motor. I mainly wanted to see how it handles as a handcycle, before I try out the motor. 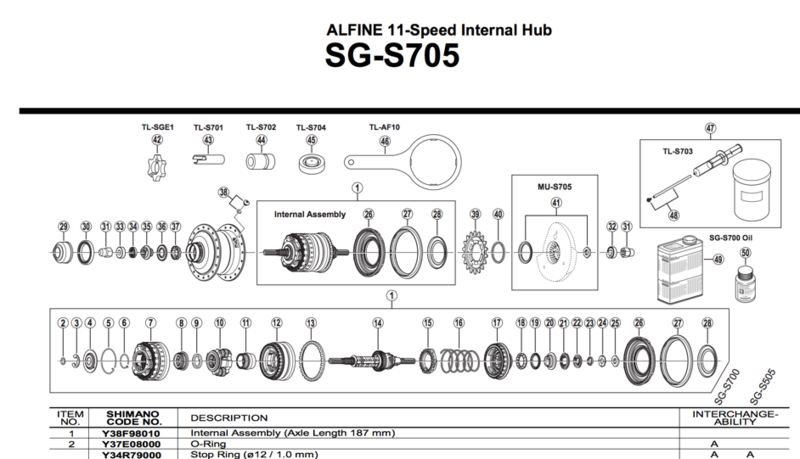 It feels good, it turns out, and the 11 speed Shimano Alfine hub seems to be very smooth. It has an electronic shifter that's very cool. But the motor and the battery are both mounted up high, so that will take some getting used to as far as stability goes. This video has the momentous turning on of the power. I took it out for a test ride, but I really needed both hands and couldn't take and videos. The assist motor is powerful and quiet. It has assist levels from 1 to 5. The device has a display that says how much power its putting out. On level 1, that's about 75 watts. Even at this level, the assist was significant. 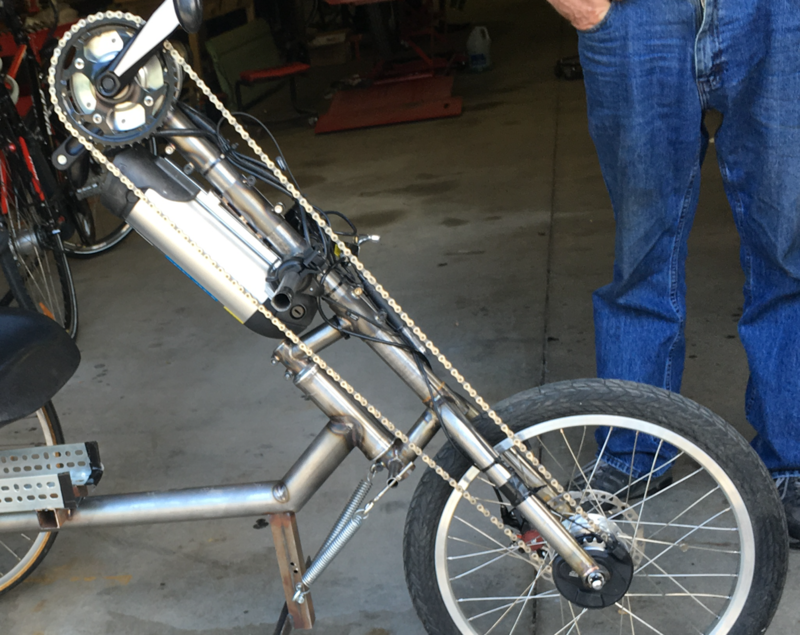 Above is the part of the Electric Handcycle that Ted Wojcik has dubbed the "power pylon." It's a good name because there's a 500 watt Bofeili electric motor mounted at the very top. Because Ted has already been building a range of electric bikes, this is a motor and a controller that he's familiar with. 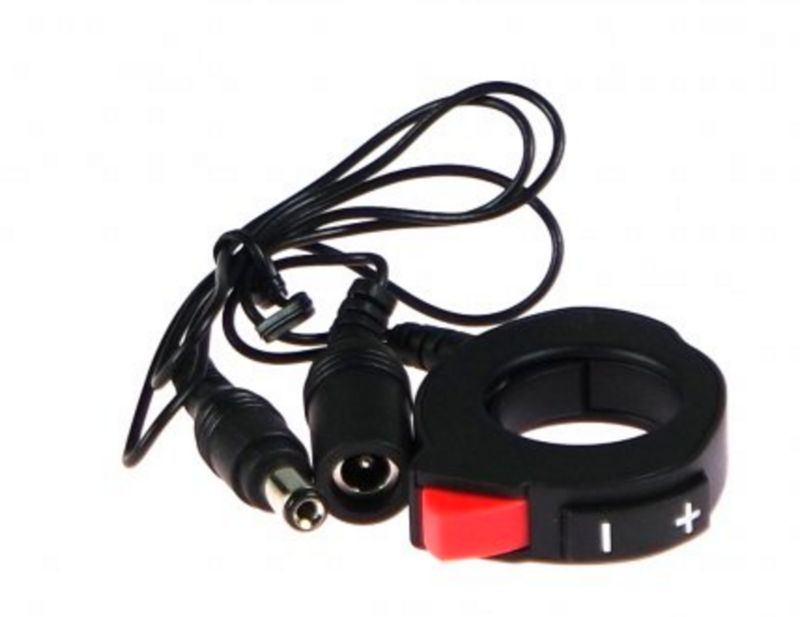 The controller provides assist-based power. The harder you pedal, the more power the motor adds. We had thought of mounting the motor half way down the pylon. This would lower the center of gravity. 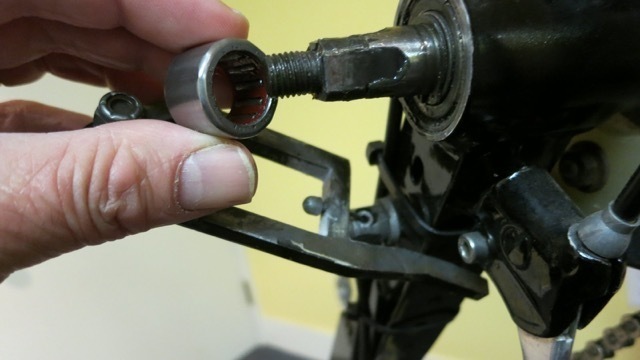 But it would also mean we would need to put our intermediate cassette onto the square taper pedal mounts on the motor. The "Mule" will tell us. It's not meant to be fancy or beautiful, but it's meant to get the job done. We can learn and modify from there, since the mule will be made entirely of steel. Later we will substitute some of it for titanium. This is a Fifield Electric Bike made by Ted, using the same mid drive motor, controller, and battery that we're using on the mule. Below is a nice video from Fifield. It gives you a good introduction to Ted, and there are lots of shots of the bike above. 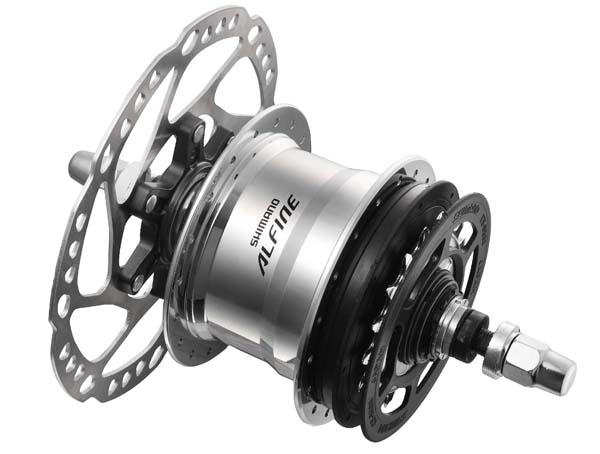 We will use an internal 11 speed hub with a disc brake. 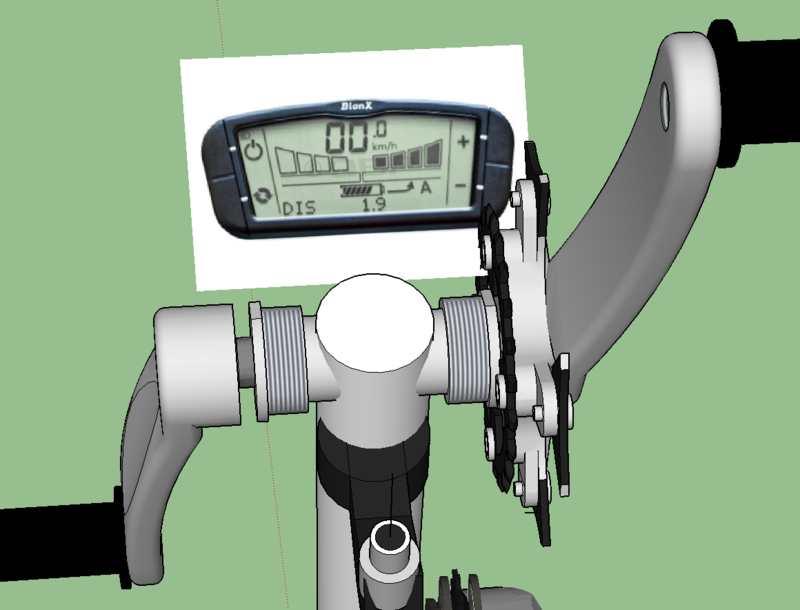 The Shimano Di2 System has a paddle shifter for the derailleur (or the 11 speed internal). 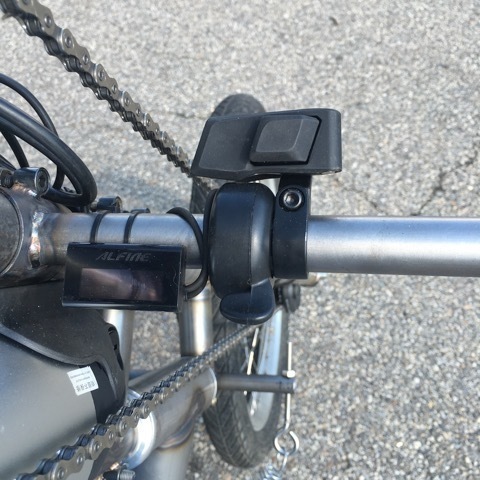 Also you can see the display mounted near the center of the handlebars. 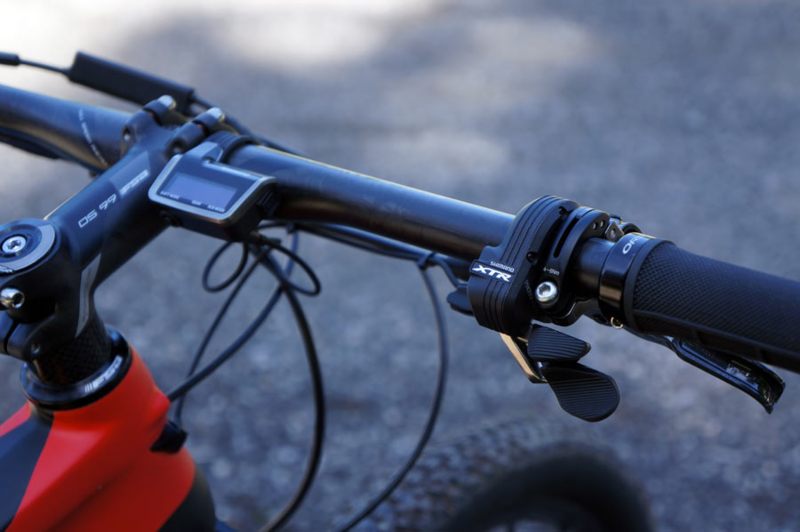 Here's more details about the Shimano XTR Di2 M9050 System Display. This unit shows the battery condition, what gear is selected. It also provides a connection point for the control cables. 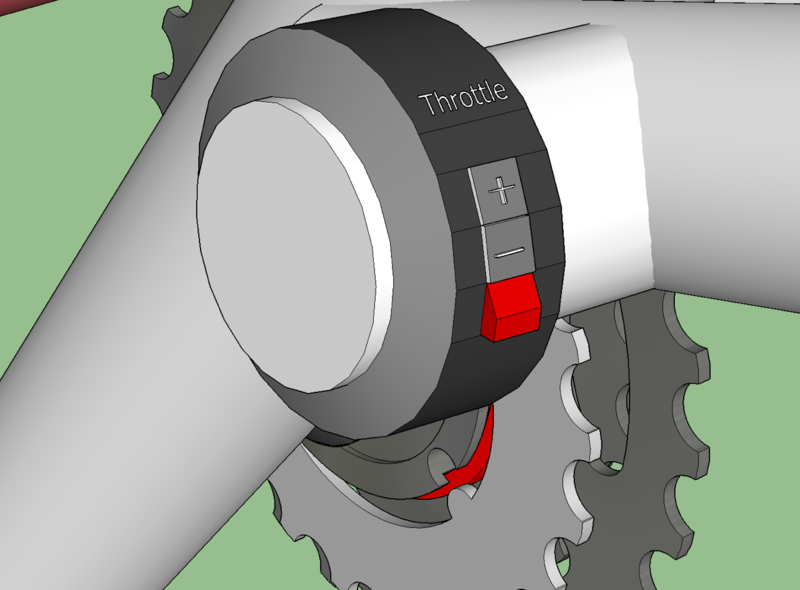 Shifting for the Di2 hub is by push button. It's supposed to be fast and smooth. Battery lasts about 1000 km before recharging. That's plenty. This is the SM-BTR1 battery pack. 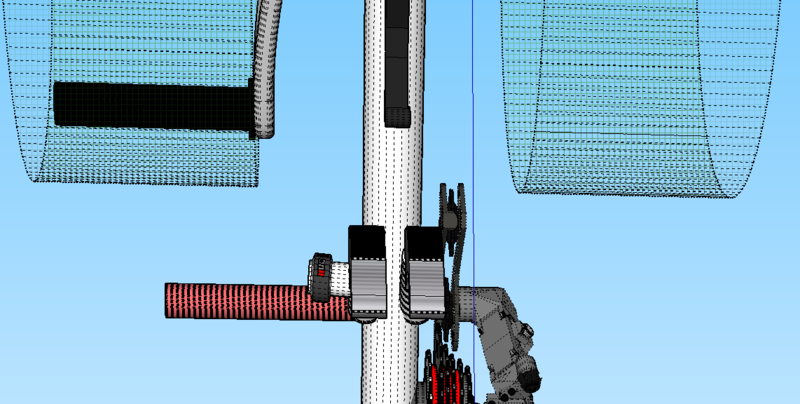 Cody and I got together today via Skype and began to flesh out the Solidworks model using a mid-drive motor approach. It appears that mid drive is the way to go. The plan is to place the motor at the same location as the intermediate cluster. 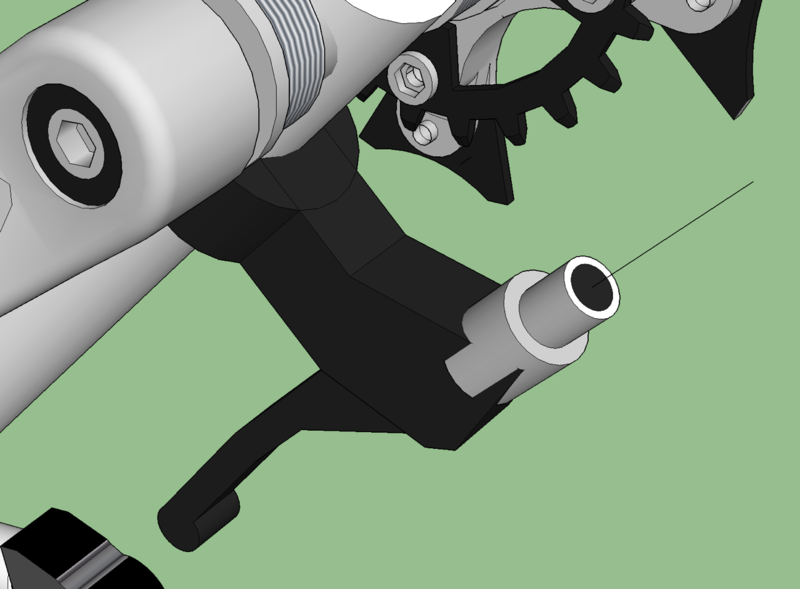 It will drive down to the front derailleur which will be a VERY wide range cluster. 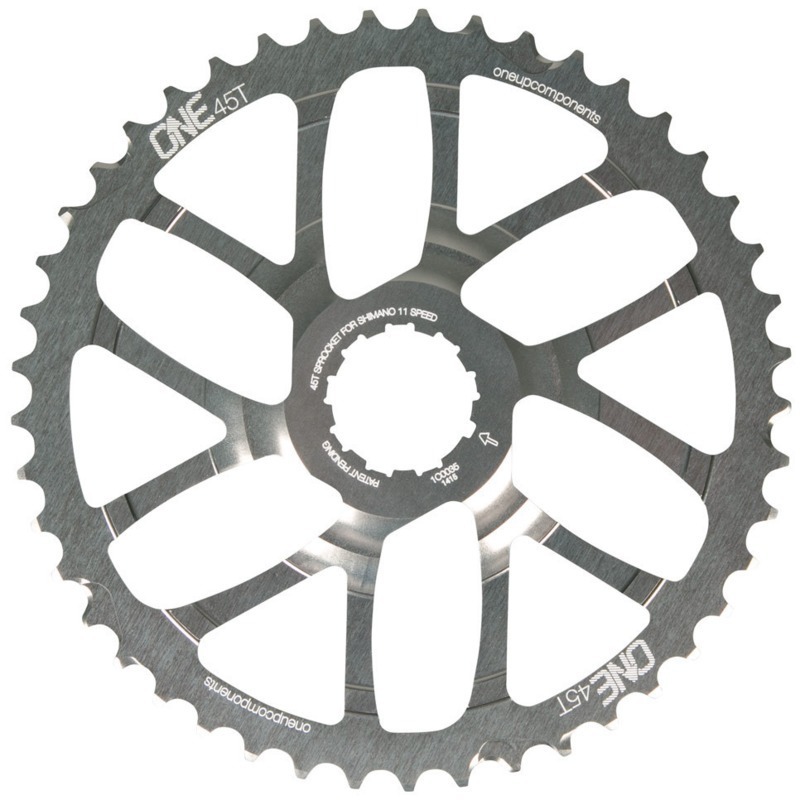 One Up Components makes a 45t modification http://www.oneupcomponents.com/products/45t-sprocket-18t to the Shimano CS-M9000 cassette that we plan to use. It is a really light weight design that includes some titanium cogs, as well as a carbon fiber body. 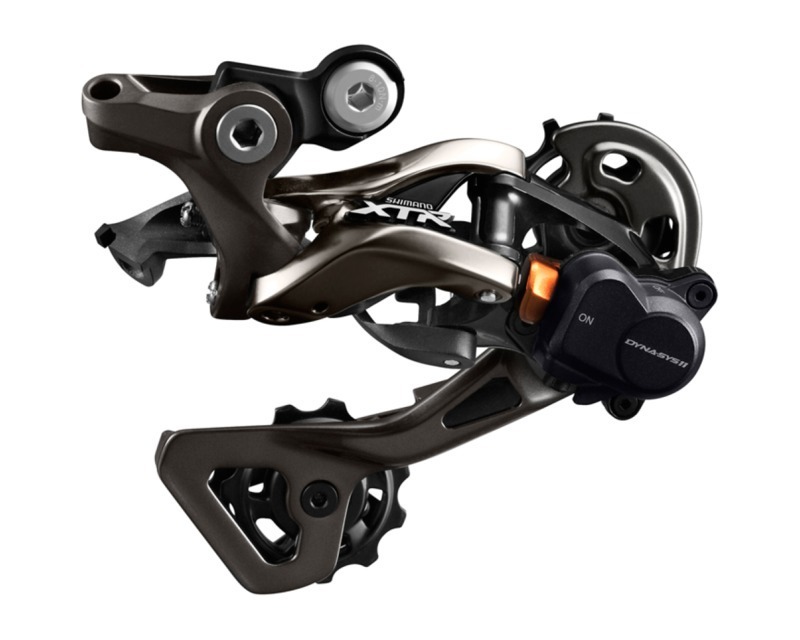 Shimano XTR M9000 Long Cage SGS Rear Derailleur is a great choice for the front derailleur. It can handle the 11-45 range, which gives the motor the most help. 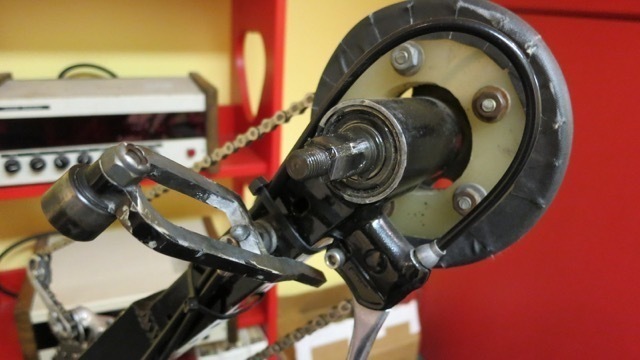 It also has advanced ways to maintain chain tension, which is helpful to keep the chain from falling off. The bottom line taken from the spreadsheet shows the 11/45 cassette. The cool thing is that this gives a low gear ratio of .44, or 8.8 gear inches in low gear, as seen by the mid drive motor. This is a very low gear. Lower than what we have on either the New England Handcycle or Travel bike. It should mean that the mid drive motor can easily power the bike up even steep hills. This chart shows that in low gear, each crank of the pedals moves you 27 inches. 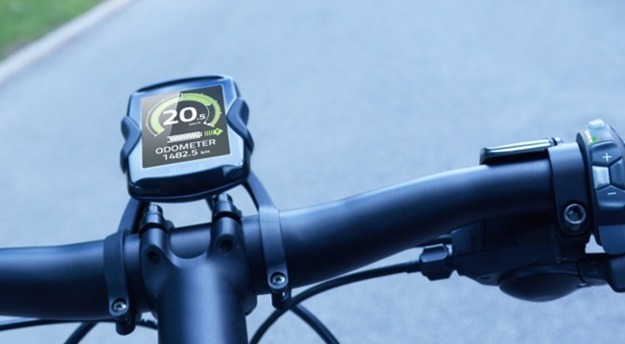 At 50 rpm, the bike is only going 1.3 mph. But at least it’s moving! With a hub drive, the motor would have to put out more than twice the torque because it has a 20 inch direct drive wheel vs a virtual 8.8 inches wheel with the gearing. Now what about at high gear? Now we use the 1.82 ratio, and at 100 rpm, we get 10.8 MPH. Can the mid drive motor go up to 150 rpm? That would about do it for speed. I wouldn’t be pedaling at 150 cadence, because of the intermediate derailleur. Ignore that and go right for the Excel file download at the end. I asked Cody to write up an analysis of stability for the three different handcycles. 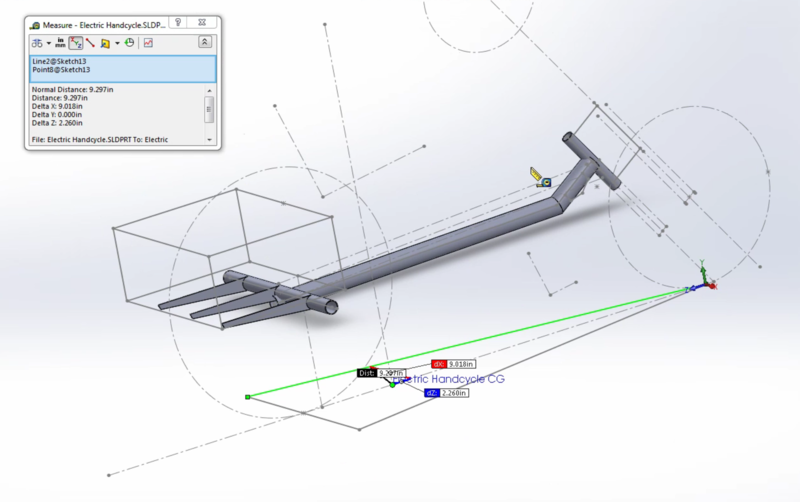 Part of the goal of this blog is to provide some of the basic building blocks for others that might make new designs. Cody provides a detailed way of looking at stability for these three-wheeled vehicles. Here is Cody’s analysis in a Word viewer. After this is a link to download the Word file. 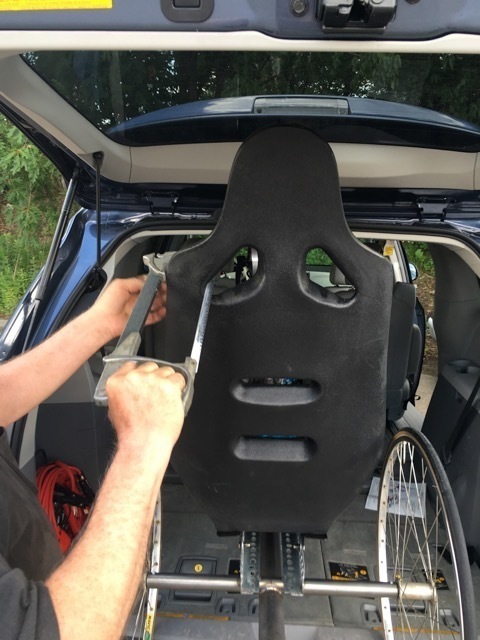 Who is Jim Turner and has he convinced me that the Electric Handcycle design is wrong? Should we switch to mid-drive? 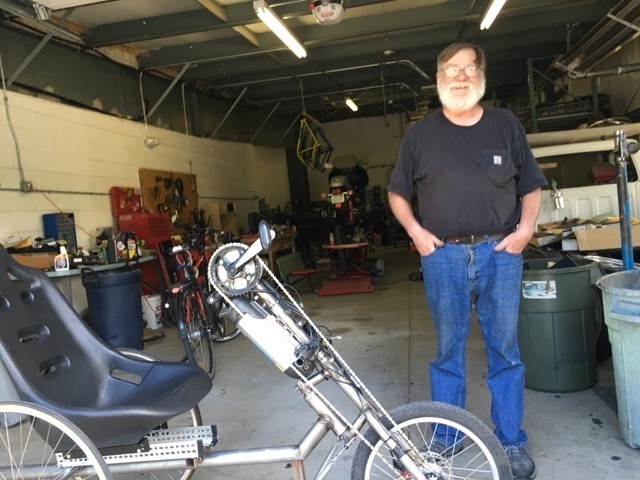 Jim Turner is an electric bike designer and founder of https://optibike.com/ Optibike in Longmont, Colorado, just north of Boulder. 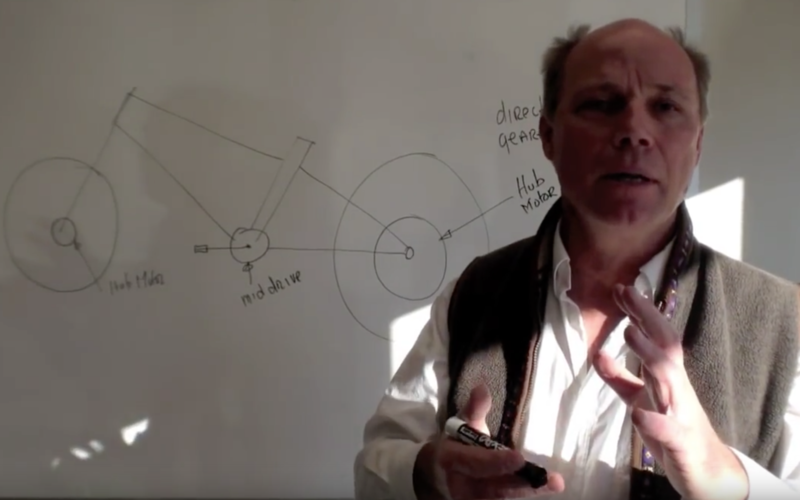 I just happened upon his tutorial about electric bike motors. 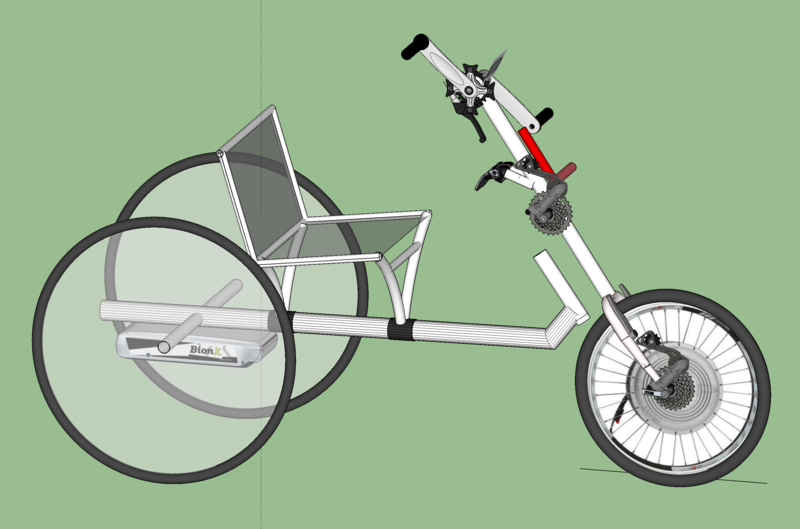 Our initial design of the Electric Handcycle contemplated using a Bionx hub motor in the front 20 inch wheel. Everyone said it would work fine. Just one problem. Watch the tutorial, and you’ll realize that as soon as the hub motor design hits a hill, the motor will become more stressed. It will have to put out more torque at a lower rpm than its sweet spot. This will increase current draw, increase heat, and heat up the battery, all leading to a big drop in range. In an handcycle, it’s even worse. If you start to go too slow, the electric motor will stop helping at all. The Bionx motor requires a certain amount of wheel rpm in order to add power. So you could quickly get to a point where you’re pedaling up the hill with no electric assist at all. 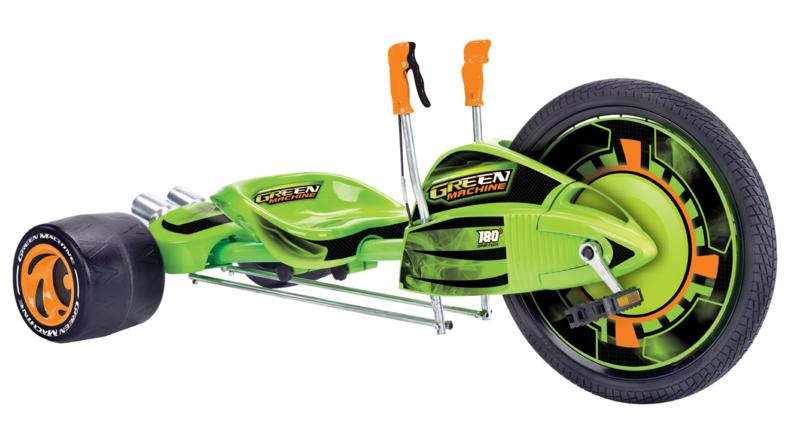 This is a kid’s toy called the Huffy Green Machine. The pedals directly drive the 20” wheel. 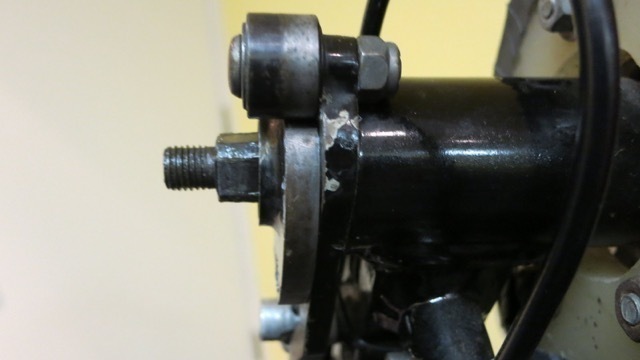 This is the same condition we have with our Bionx front wheel hub motor. It is built into the wheel, and and it has no mechanical advantage — it just drives the wheel directly. A measure of bike gearing is called “gear inches.” It goes back to the old big wheel bikes. 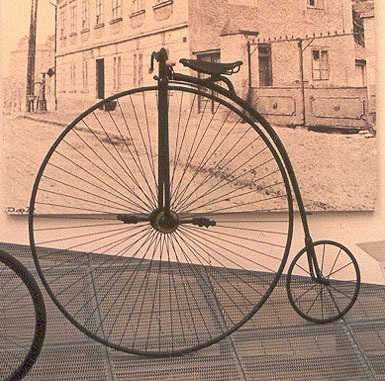 Anatomically, a person couldn’t ride a bike much bigger than a 60” wheel diameter. Later, when geared bikes came along, they used the gear inches term to say what virtual wheel size the rider was pedaling. Usually bigger would be better, at least for level ground speed. This chart from Wikipedia shows a range of gear inches for regular bikes with 700c (almost 27”) wheels. Note that the very high range is 125 gear inches, or a the equivalent of a penny farthing bike with a massive 10 foot high wheel. At the very low end in this chart we have 20 gear inches. This is very low for a rider using their legs. But when you pedal with your arms, you have about 1/4 the available power. This usually means you need a lower gear ratio. 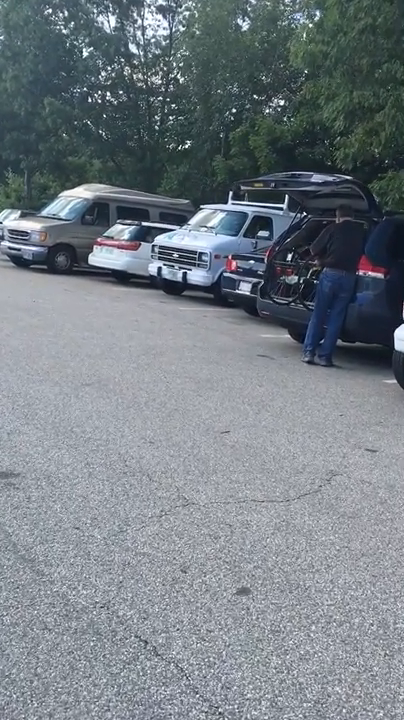 Here we see that the New England Handcycle and the Travel Bike have a low gear of 9.7 inches. 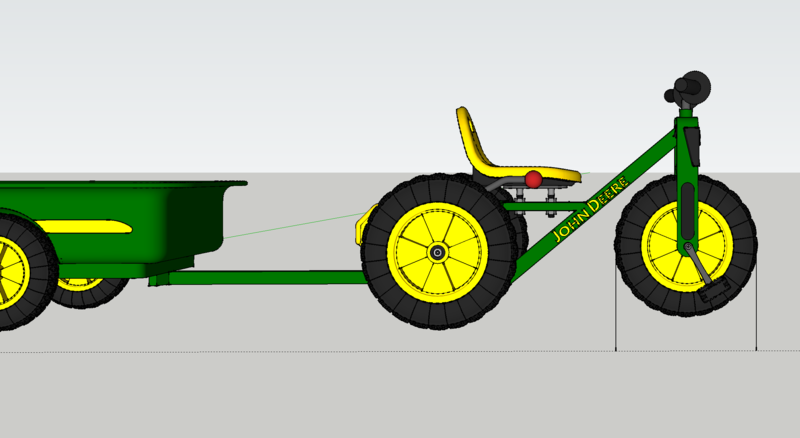 This John Deere kids tractor has a front wheel that’s about 12 inches. In my case we have a 220 lb adult and a 50 lb bike, or 270 pounds to climb the hill. 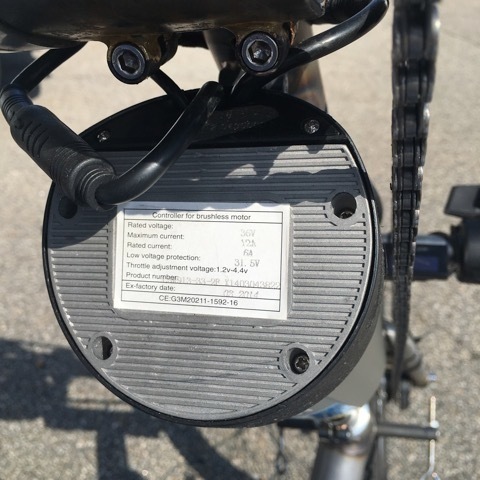 The Electric bike gets a 8.3 inch equivalent wheel to give you a really low gear. 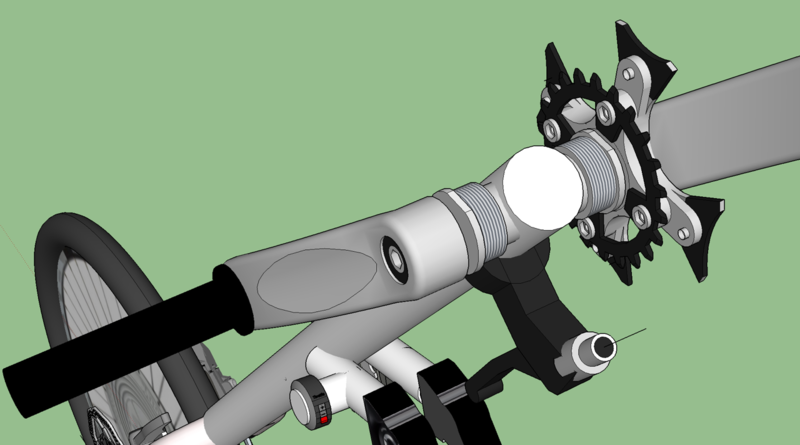 With two derailleurs - one on the front wheel, and one half way up the to the pedals, we get a wide range of gearing. But its interesting — the overall ratio of 12.5 is used to make 20” wheel become an 8.3 inch wheel for climbing. And then for speed, those gears turn the 20” wheel into a 103” wheel - equivalent of a 8.6 foot penny farthing direct drive wheel. So, most of gearing is used for speed, and just a bit to make the hill climbing easier. 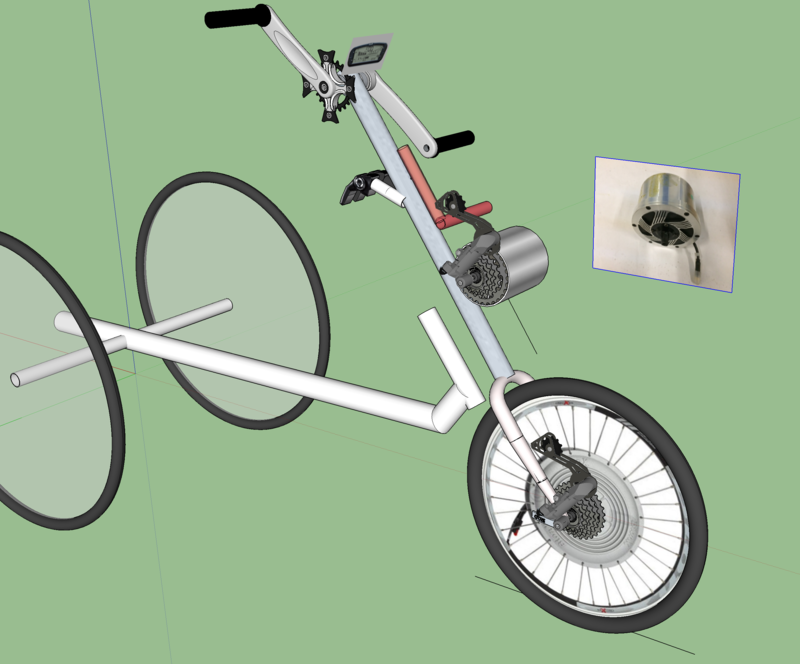 To use Jim Turner’s mid drive suggestion — which certainly does seem like a good idea — we need to mount a 7.9 lb electric motor somewhere along the drive train. We have two main options. One is to mount it at the pedals. This gives us the benefit of both derailleurs and will let the electric motor see that tiny 8.3 in front wheel on the hills, and then see a nice big 103” wheel for speed on level ground and down hill. I’ve simulated the rough size of the motor in the model above. Gosh, it seems really big there, and a shame to have a really heavy device perched at the end of a long tube. 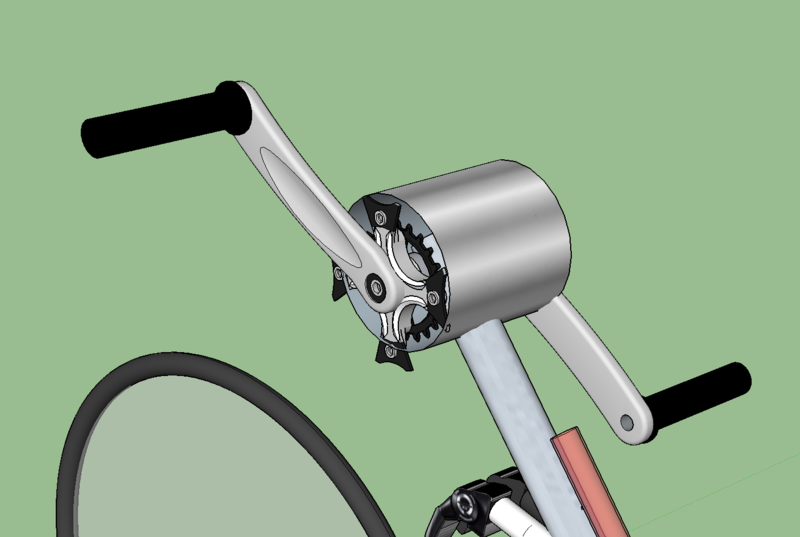 A better alternative is to mount the motor as part of the intermediate derailleur. 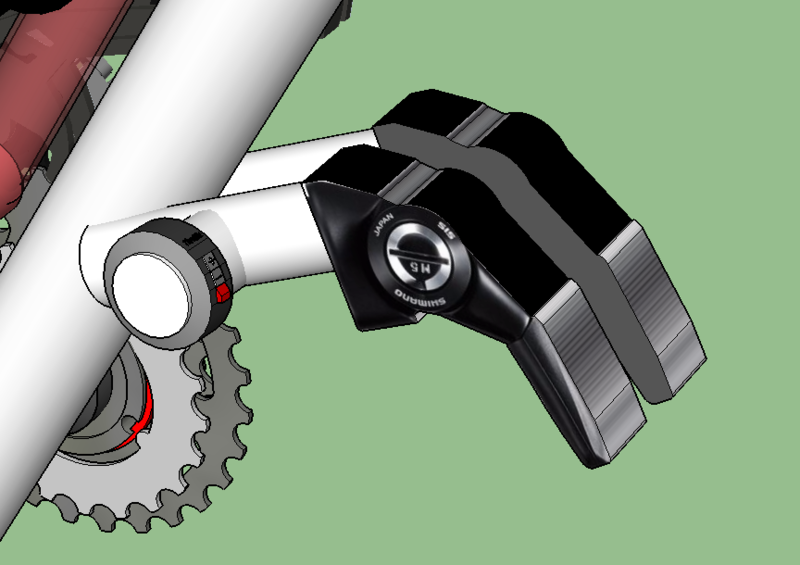 This would mean that the electric mid drive motor would only see the benefit of the front derailleur, which in our current design is an 11-42 large range cassette. I can’t imagine mounting this big motor up by the pedals. 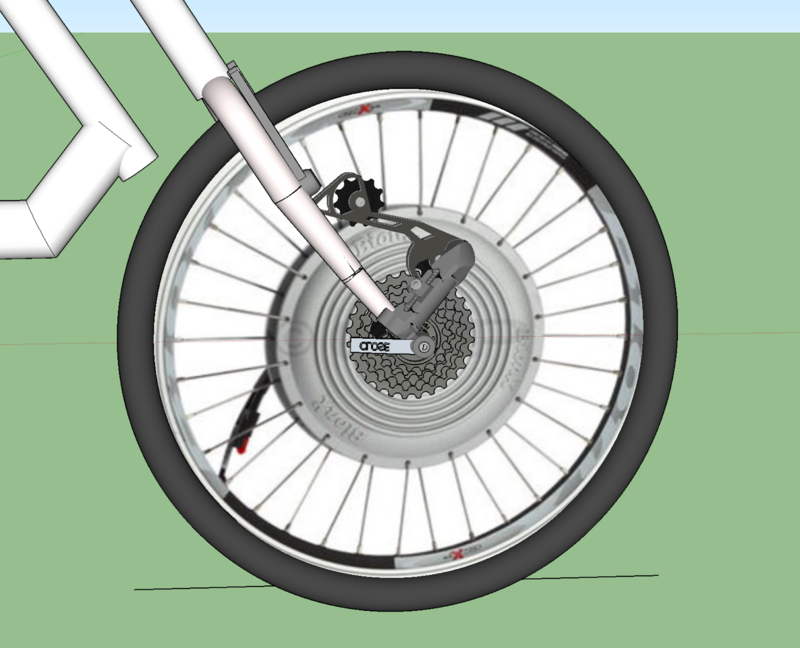 Question 1: How big a deal is it to give the motor a 11.4” (virtual) front wheel vs a 20” front wheel for Bionx? Question 2: How big a deal is it to give the motor an equivalent 43” front wheel for speed, vs a fixed 20” wheel? Hmmmm… Maybe Jim Turner himself will provide some expert guidance. Stay tuned. The Bionx motor system has a lithium-ion battery that needs to be mounted somewhere. I propose to mount it under where the basket will go. 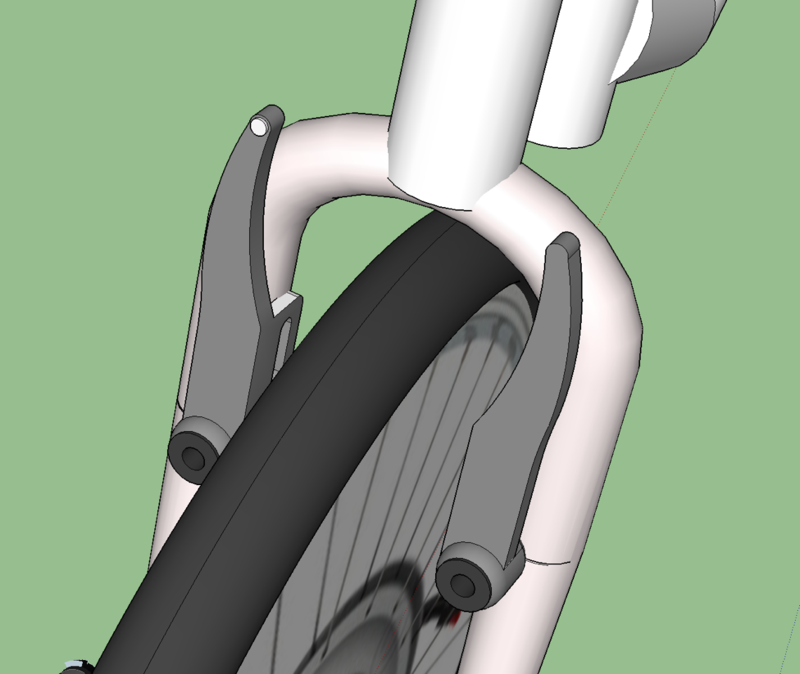 Bionx makes a removable battery that fits in a special double level rear rack. 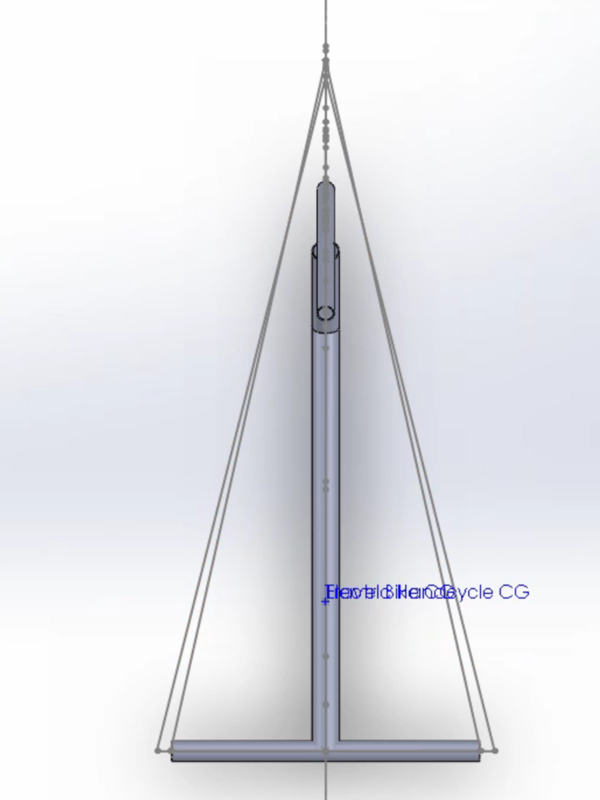 We might get a rack and cut it up and use it to mount the battery below the main tube. 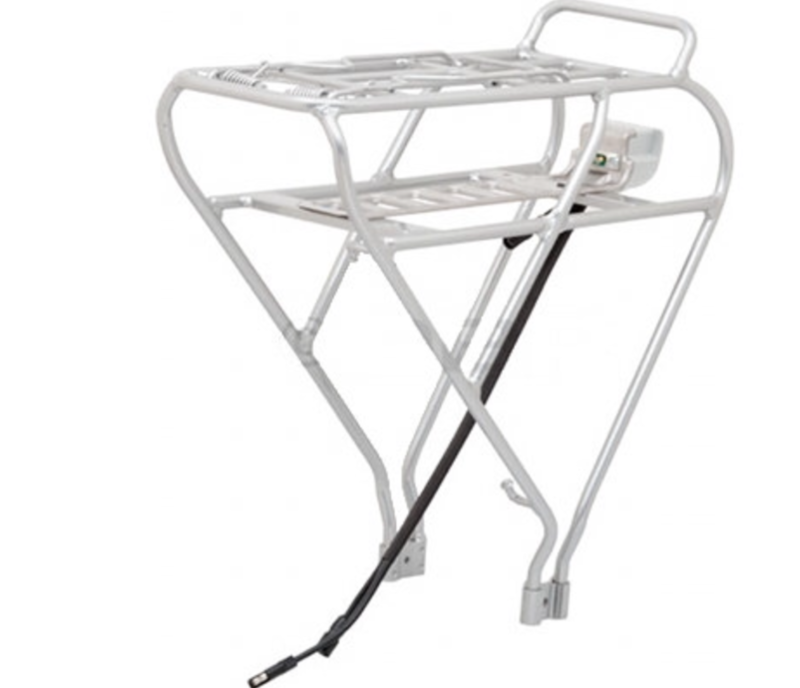 Here’s a look at the Bionx battery carrier rack. 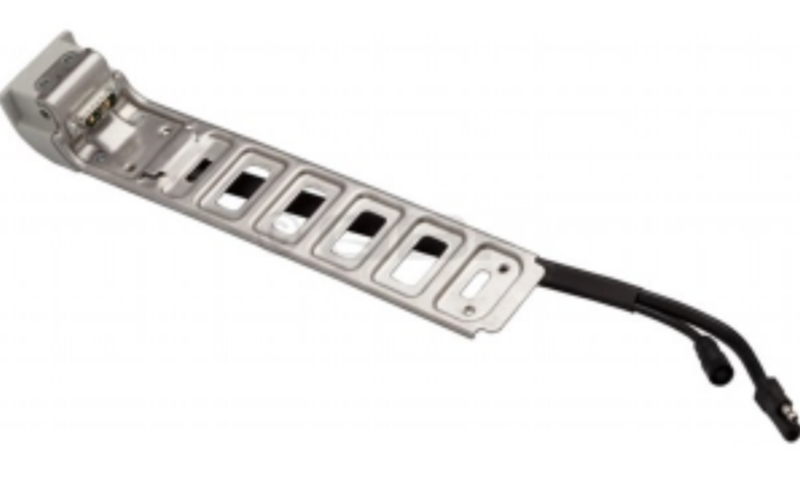 Here is the connector that mounts inside the rack. With one wheel removed, you can see the battery more clearly. I don’t want the battery under the seat, as there is some remote chance of fire, and better to have flames behind you than under you! 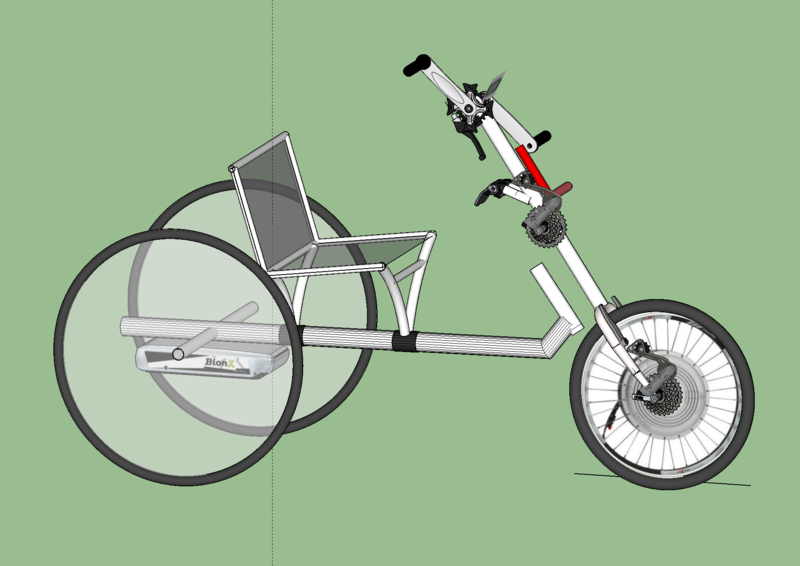 Working with Geoff Bostwick SketchupTutors@gmail.com we were able to add a proposed seat design to the Electric Handcycle design. The Sketchup model is available at the end of the post. You can download it and play around for yourself. 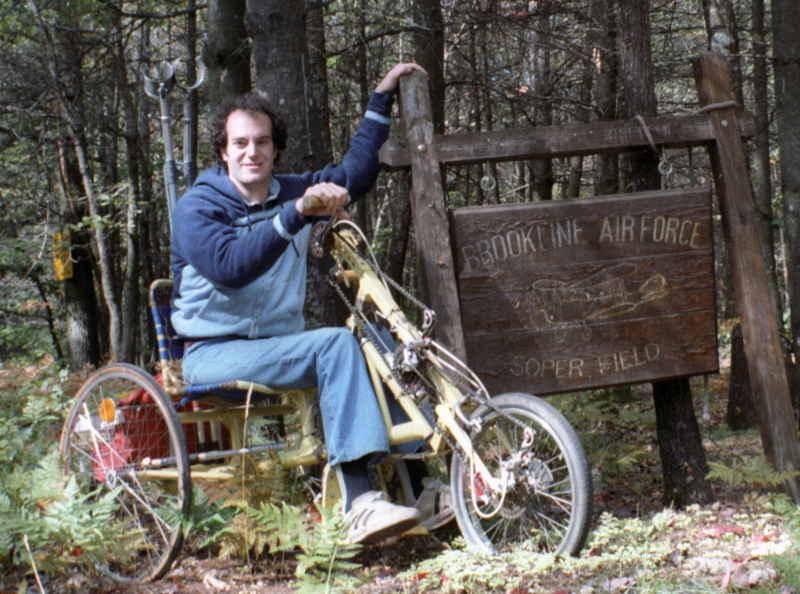 This 1982 photo shows me on the first handcycle I designed. It was based on my 1980 undergraduate thesis at MIT. 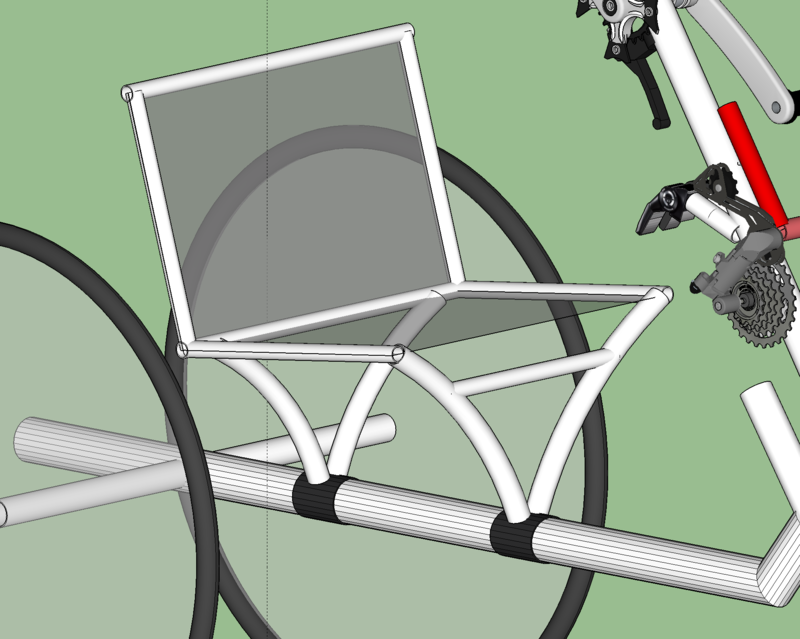 We’re stealing part of the seat design for the Electric Handcycle, some 36 years later. In this scale model made of brass (I was very proud of that), I proposed a square main tube and two sliding seat supports which would clamp to the main tube. 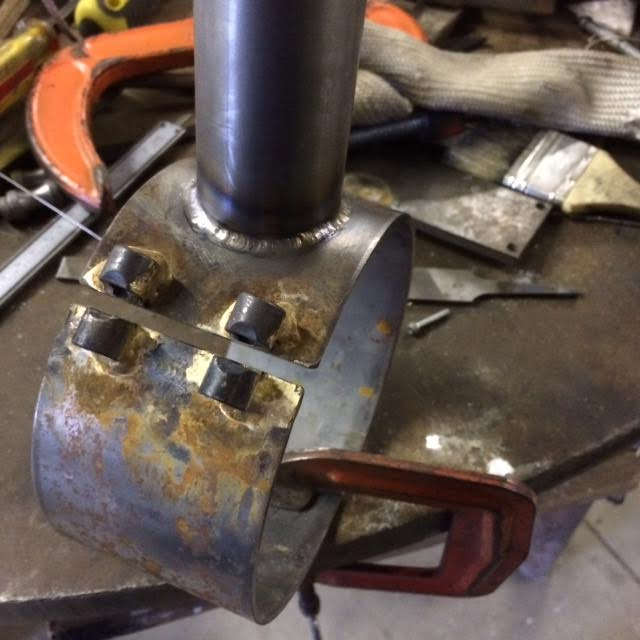 In the end we used round tube, and round clamps. It worked fine, and I rode that bike for years. If you feel like it, here is a whole bunch of photos of the brass model and photos of the actual thesis handcycle before painting. 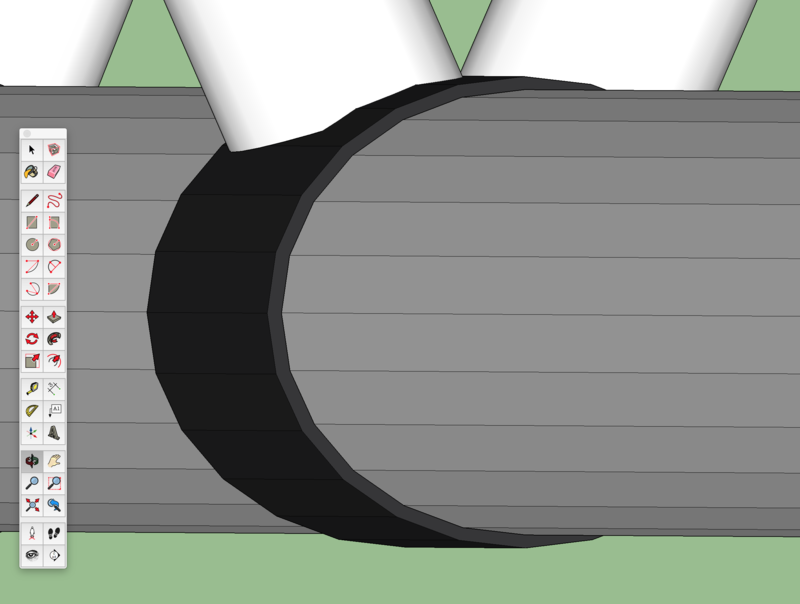 The proposed seat will use round clamps over the 2” metal tube. The seat will be able to move from to back. 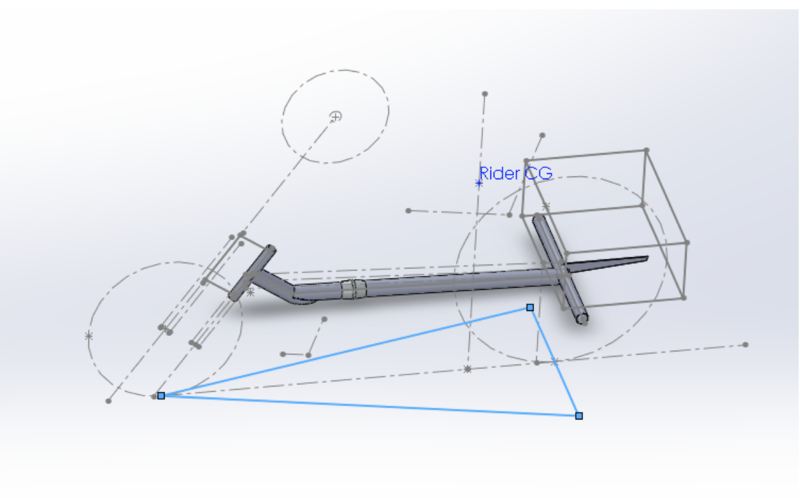 But that’s not really the point because the front end isn’t adjustable, and the seat will end up where it due to the geometry we pick on the front end. We may have an adjustable reclining angle for the seat, and that would mean moving it front to back. 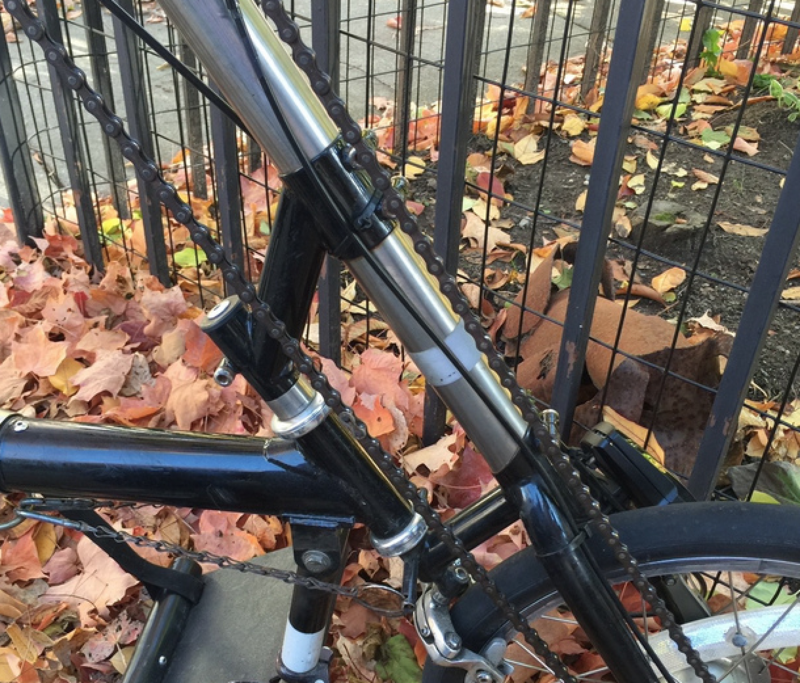 The Travel Bike uses steel clamps over a titanium tube. It works great. Titanium is like gold — it doesn’t corrode at all. We may use titanium for the main frame, which will make clamping very easy, whether the seat is also in titanium, or if we use chrome-moly. 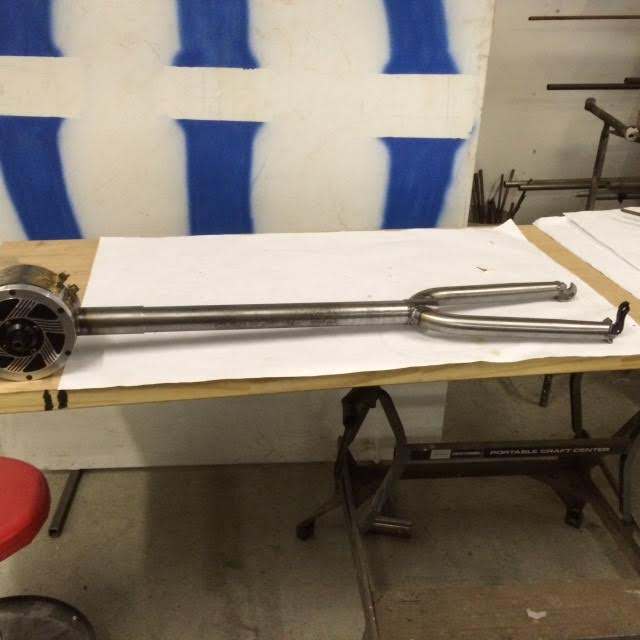 The first prototype will be all chrome-moly. The clamps should work fine. Yes, clamping will scratch the paint, but if we go with titanium, no pain on the main tube (or that part of it) is required. Here’s the clamp, but with no bolts or anything. When finished, there will be a top piece and a bottom piece. They’ll bolt together. NOTE: This is far from a finished design. This is meant to get the concept going. 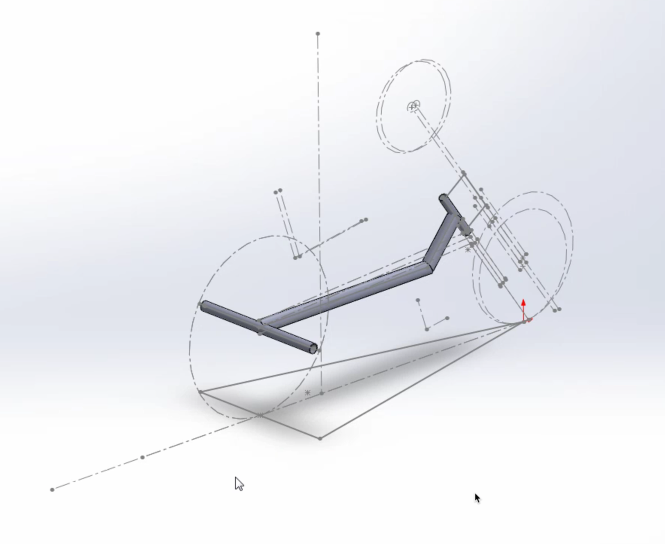 Here we see the current Sketchup model with the Solidworks model dimensions overlayed. The seat is positioned correctly, but you can see that front end is about 1 inch further back than the Solidworks model calls for. 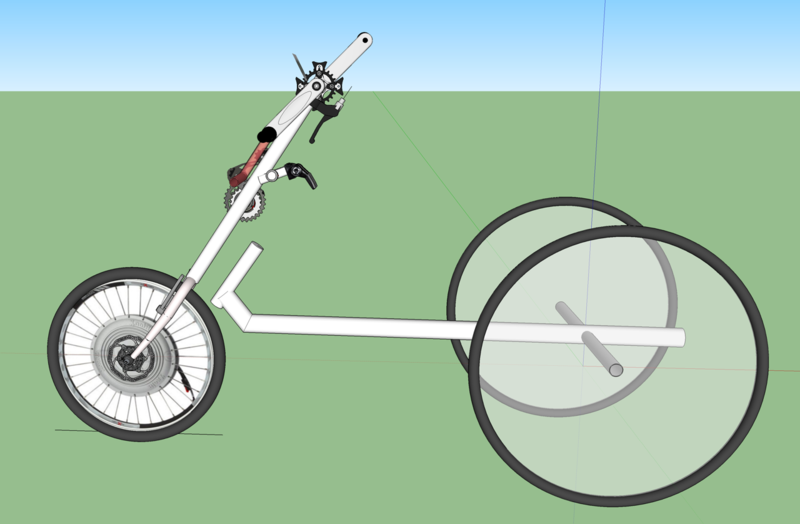 Not a big issue right now, but we’ll need to sync up with Solidworks once we finalize the geometry. For example, or recent work has the head tube angle at 54 degrees, and the pedal offset at about 5”. 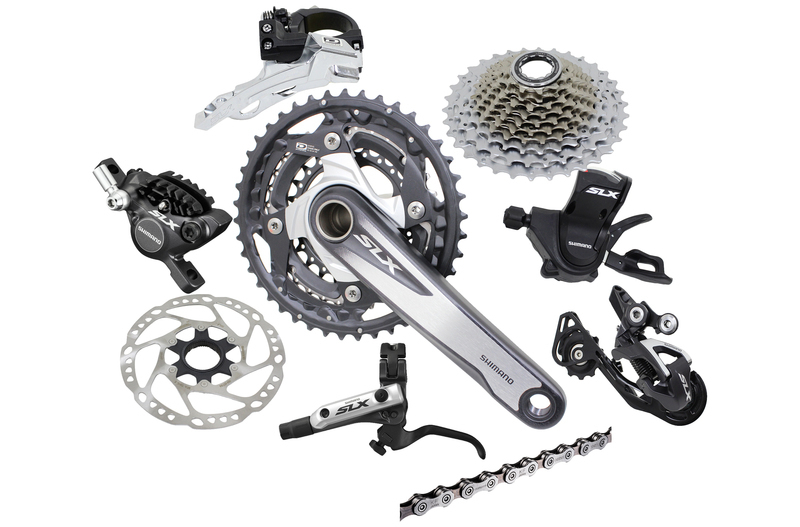 The Shimano SLX 10-speed mountain bike drive system provides all the components for a mountain bike. 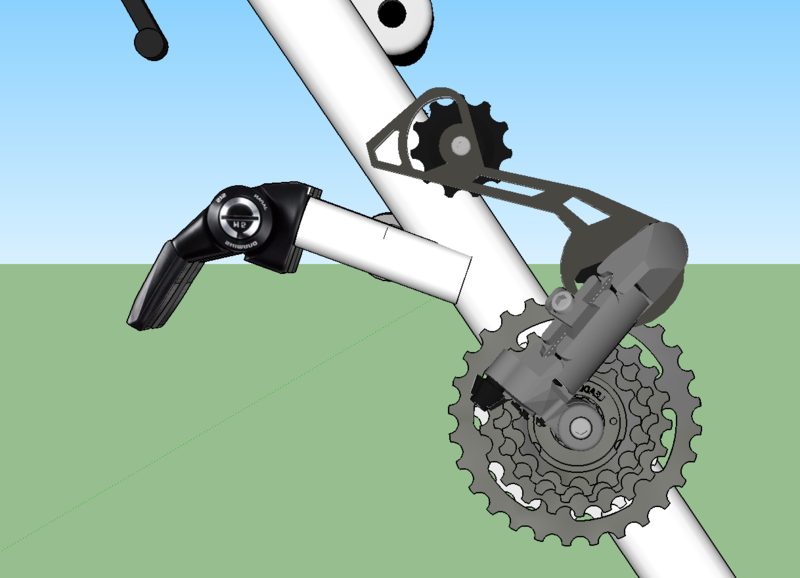 We will use the derailleur, the cassette, and the shifter. 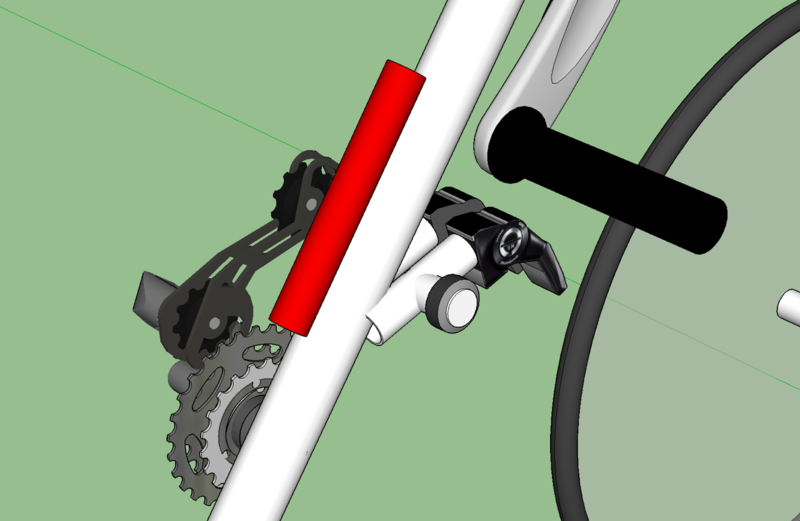 For cranks we need a square taper approach (see an upcoming post). We have no front derailleur. Not sure if we'll use their disc brake. SRAM has one made by Avid. I kinda like that name. 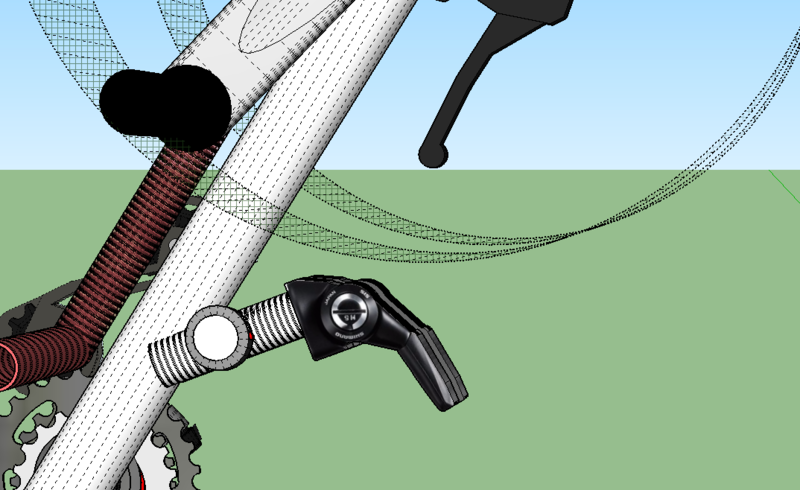 The most crucial component is the derailleur. The Shimano SLX RD-M675 10-speed SGS Rear Derailleur offers much of the features of the fancier XLR line. 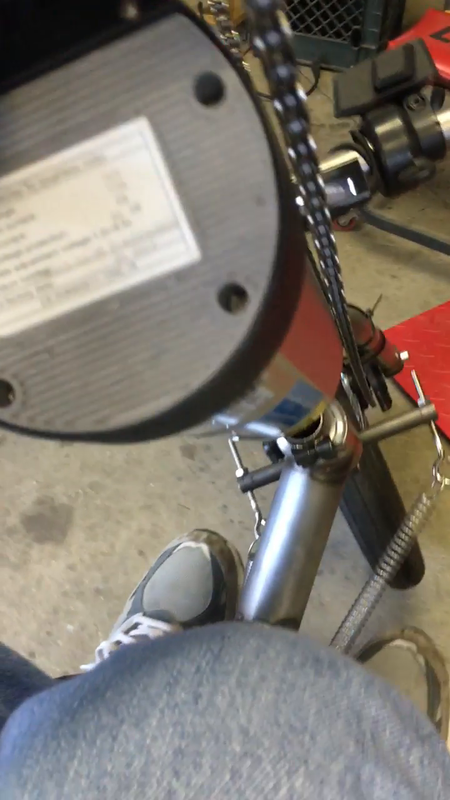 This includes some clever techniques that make sure the chain always has tension. This is key as a mountain bike jumps over rough terrain. 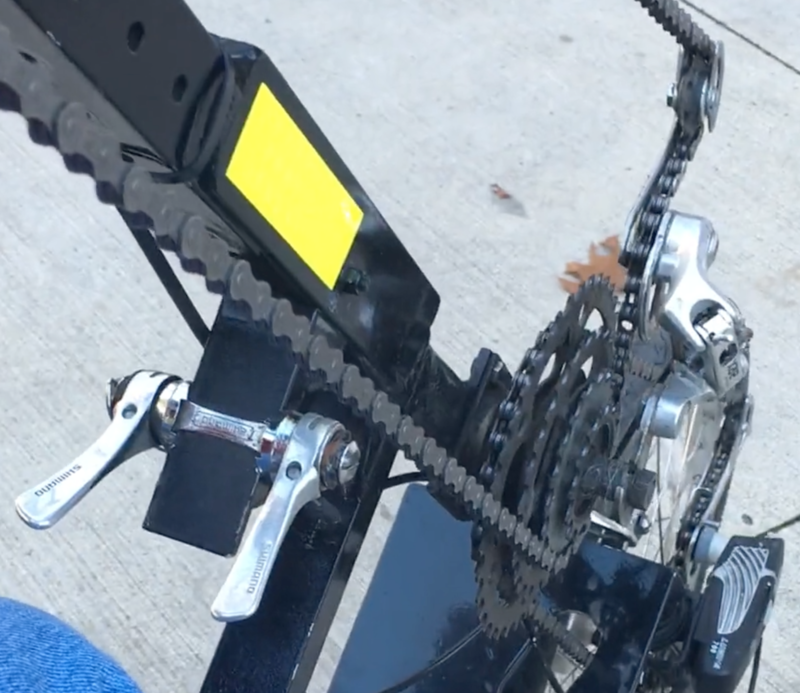 In the handcycle, this will be a useful feature because you often turn the steering 90 degrees, which puts the chain sideways over the cogs which are now in a horizontal rather than vertical position. On my older bikes, if you backpedal in this situation, you will likely have a chain come off. And that's a pain. But with this derailler, maybe the tensioner will help avoid the situation. 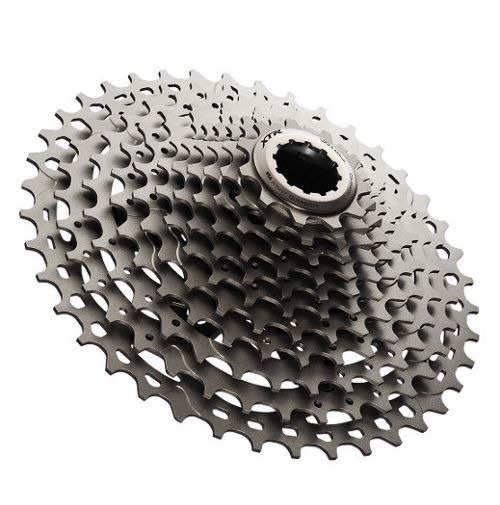 The Shimano XTR CS-M980 10-Speed 11-36 Dyna-Sys Cassette X is ten speeds and should fit on the Bionx front wheel, as well as in the intermediate derailleur position. The M980 is a premium product, selling retail for about $200. The M980’s largest three cogs are made from titanium. This saves 3.5 oz over the less expensive cassette. Taken together, the two more expensive cassettes add about $250 to the retail parts cost, but they save about half a pound, and they reduce the rotating mass. This seems like quite a nice win for the money. 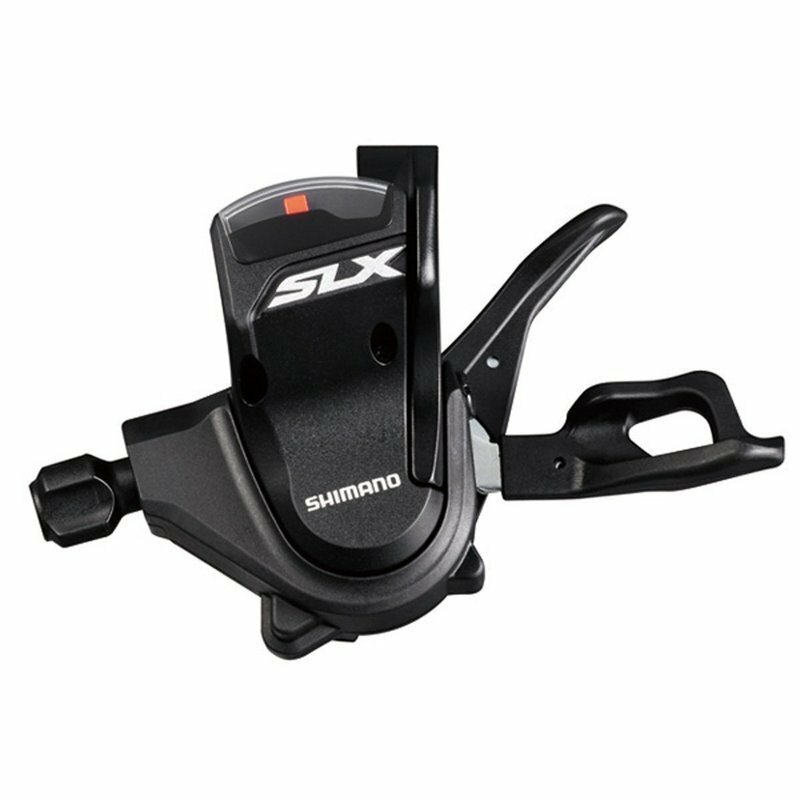 The Shimano SLX SL-M670 Shifters - 2x10 trigger shifter looks like it will work for the front derailleur which has an unmodified cassette. 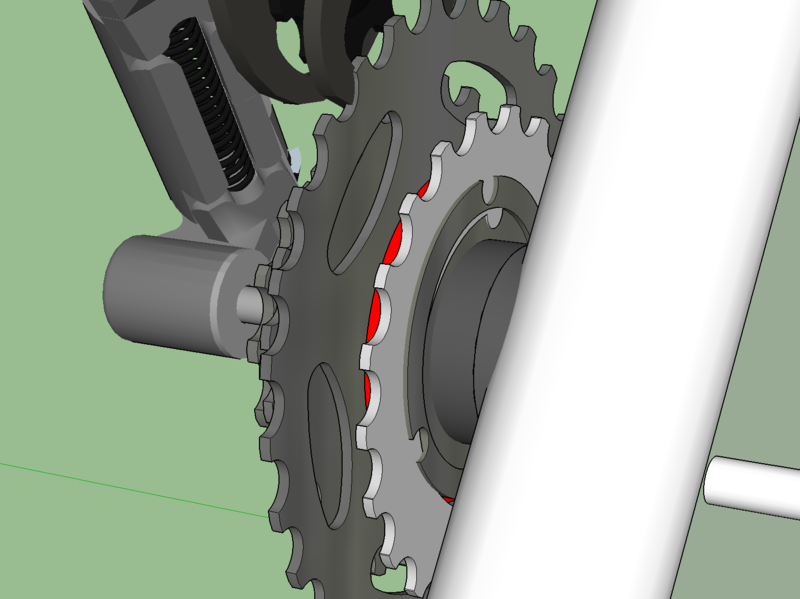 It won't work on the intermediate derailleur once we're done mucking with the cogs. We'll be taking a ten speed and making it 8 speeds or even 7. (The same thing on the New England Handcycle is 4 speeds. 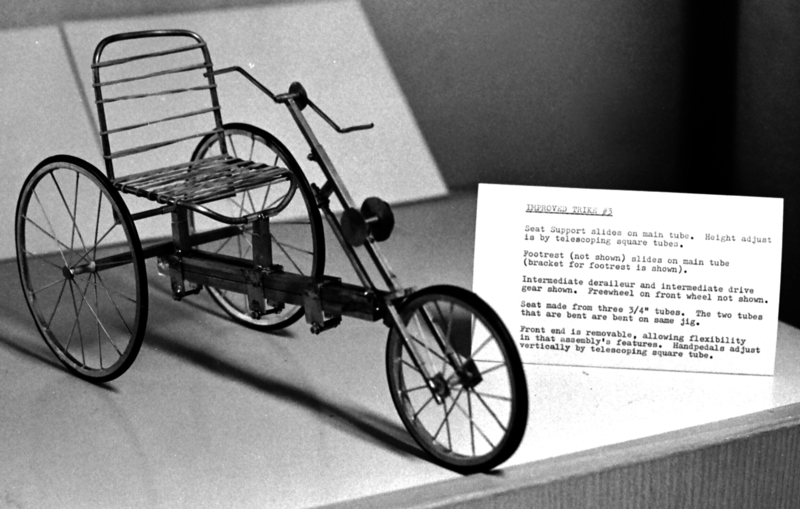 Here's how it looks on the New England Handcycle (circa 1982!). Note 4 speeds and one drive cog. 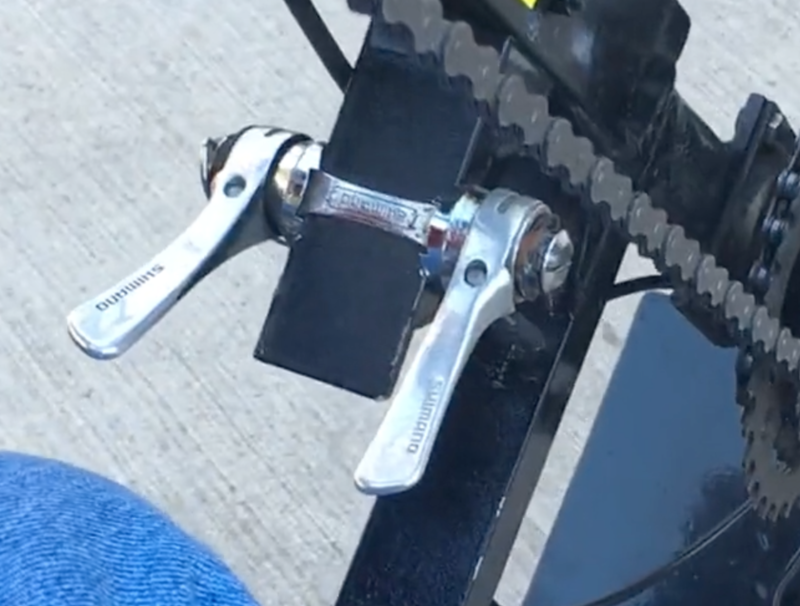 The shifter controls on the New England Handcycle is a click shifter on the left side running a derailleur, and the right side is just friction and it runs the intermediate derailluer. So lets look at what we might do with 2 times as many cogs as we used to have! Remove the 24 and save it as a drive gear by putting at the end when done. Remove the 19 to create additional space. Add the 24 on the end. This rearrangement will mean we can’t use the trigger shifter. Will need to find a regular friction shifter for the intermediate derailleur. That’s the way we do it now. The front one uses a click shifter. 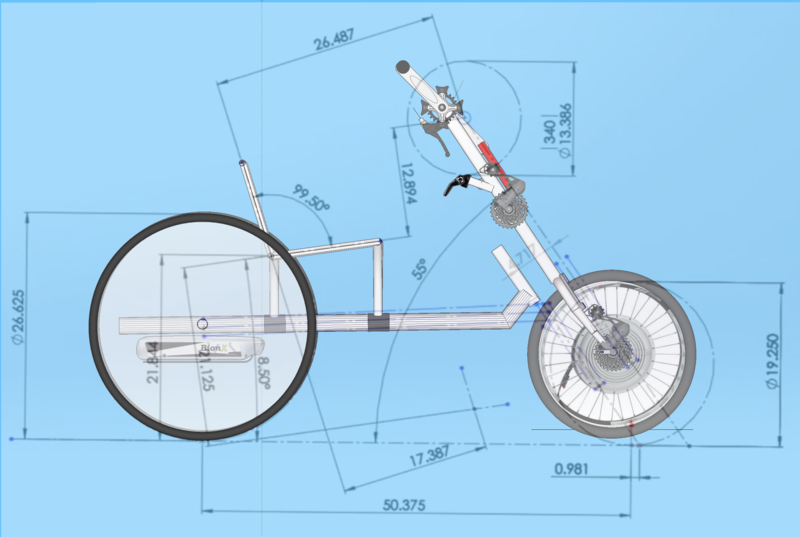 Cody and I did an online design session to review the geometry of three handcycles. 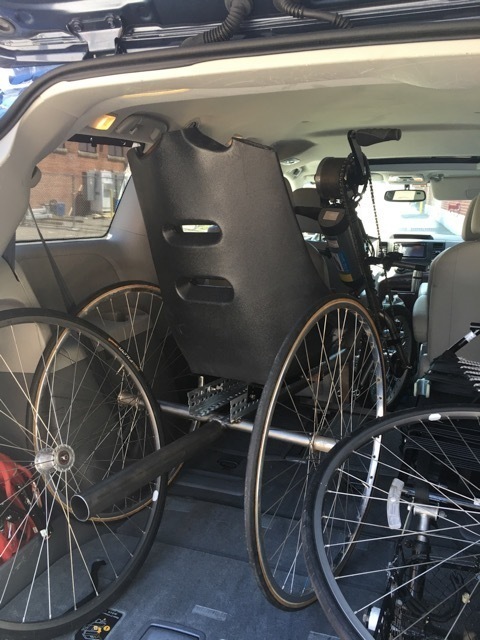 The New England Handcycle (NEH), which uses a 20” wheel and a 24.5” track, and has the rider sitting further back and higher up. Then the Travel Bike which is 2” narrower, has a steeper head tube angle by 6 degrees, and the rider sits further forward and a bit lower. 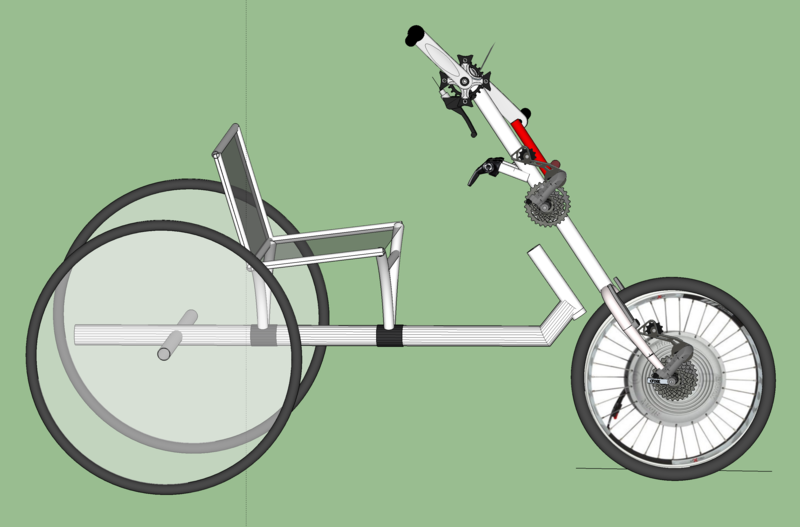 The screen image above shows the Electric Handcycle’s initial choice of geometry, with the same 20” wheel as the NEH. 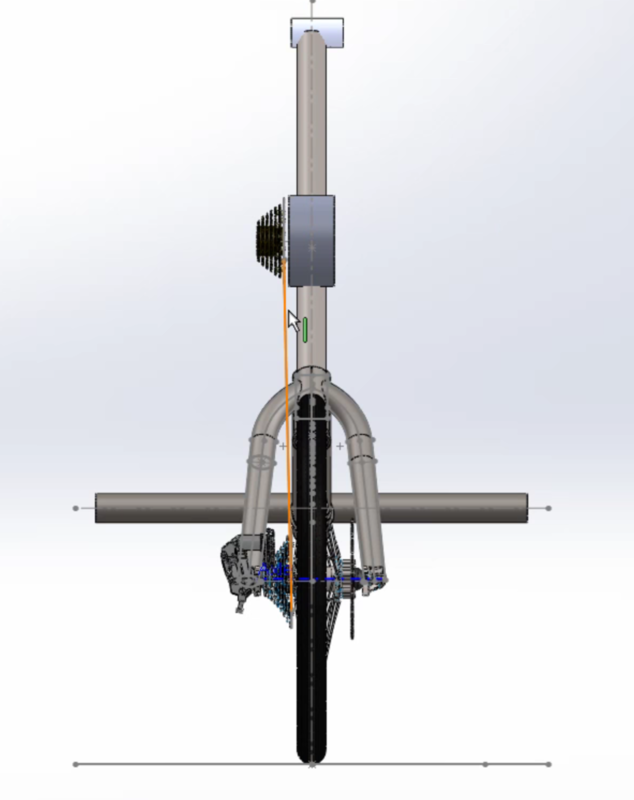 The Electric Handcycle (EHC) pushes the head tube angle to 55 degrees. This moves the pedals forward quite a bit. It moves the rider forward also. The EHC seat is a bit lower for better stability, even though it uses the 24.5” track of the NEH bike, and might be stable enough with a littler higher (and more fun and more visible) seat. 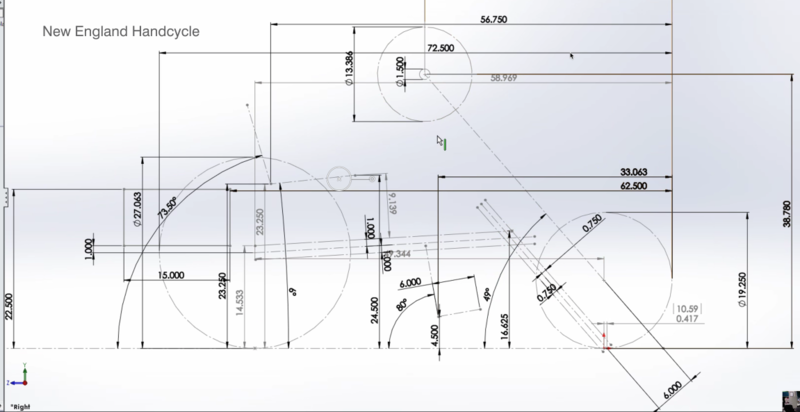 Here is the same illustration, but with a range of useful dimensions, including trail (0.981 for both) and wheelbase at 50.375 for the EHC. 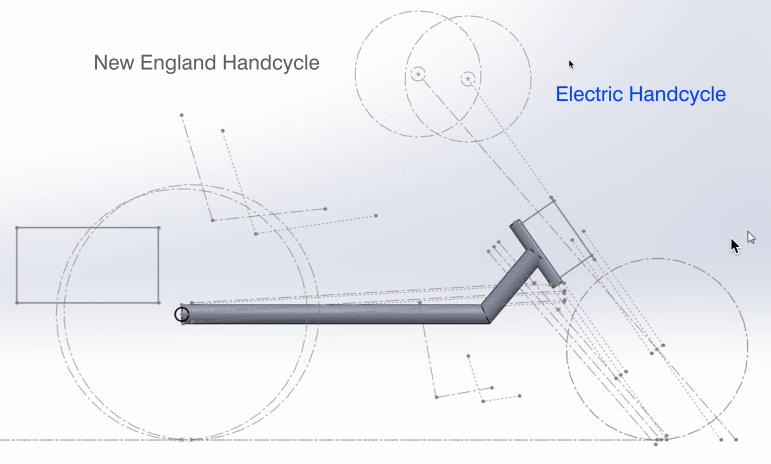 Note that the EHC is a bit longer overall than the New England Handcycle. This isn’t a great thing, because overall length matters a lot for small elevators when you get inside. Inches count. Later, we’ll reduce the overall length. We then began to investigate stability for the three bikes. Cody drew in the stability triangle for each bike, and we made guesstimate of the center of gravity of the bike with a rider. Check out this tutorial on stability triangle. The NEH bike is much more stable and forgiving when riding. But the extra two inches of narrowness on the Travel Bike is a great win indoors. The Electric Bike will spend more time outside, going fast, so we’ll probably go with a wider track. 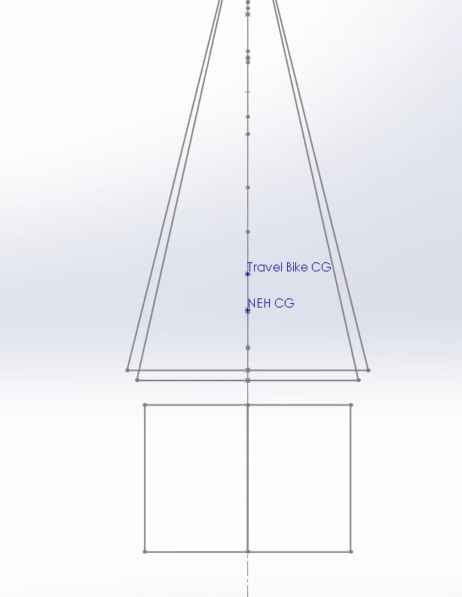 The steeper head tube angle of the Travel Bike puts so much more weight on the front wheel. 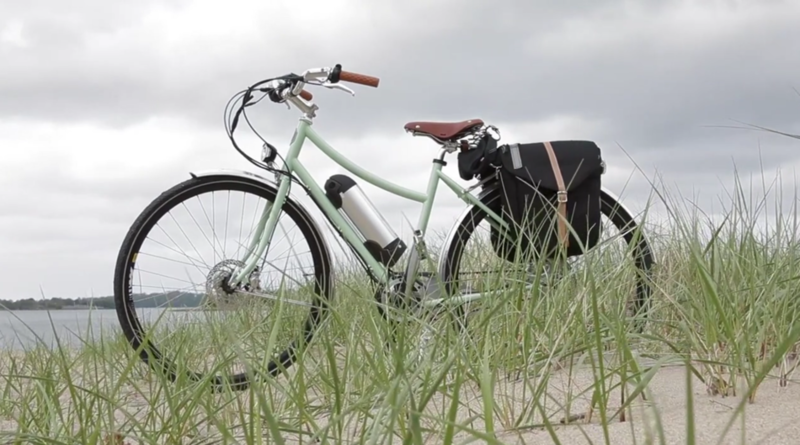 The Travel Bike can climb steep roads straight up without drive wheel slippage. The NEH bike wheel slips often. 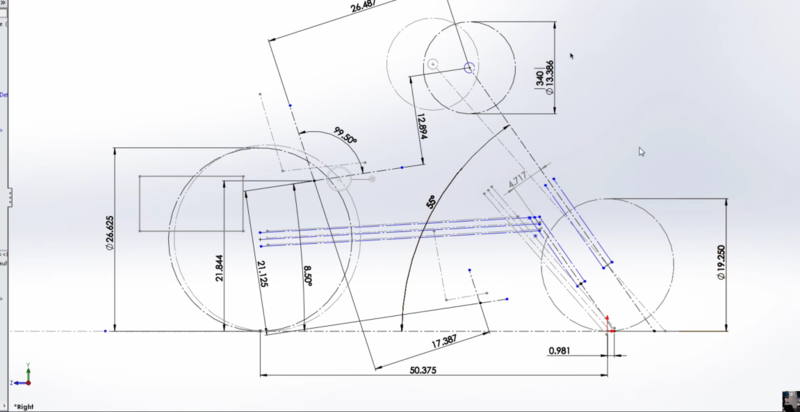 So we’ll probably stay with the 55 degree head tube angle. 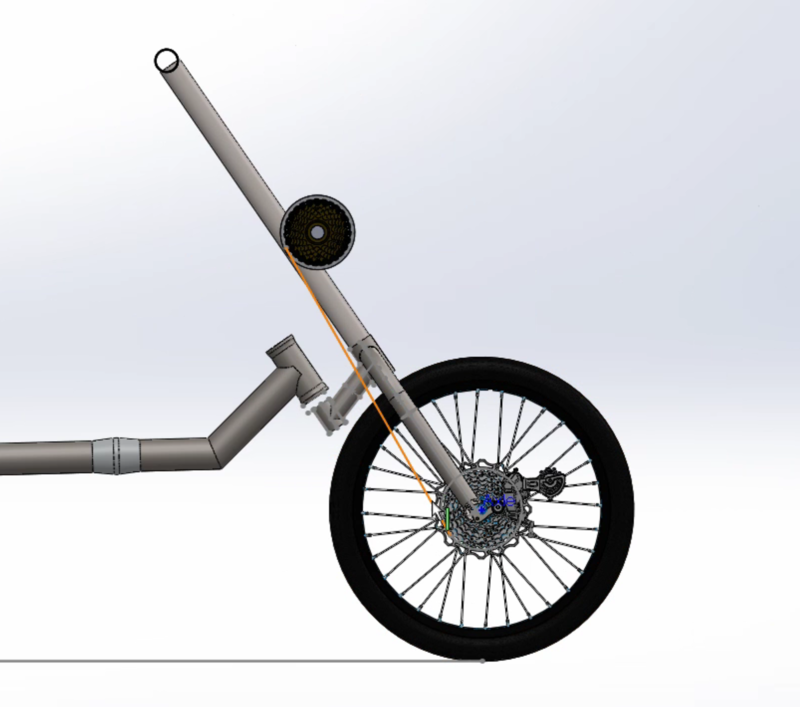 We then played around with the frame design of the Electric Handcycle. The bent (mitered) frame is mounted below the cross axle and gives us a few inches of extra clearance to bring one’s legs over when getting in. That can make a big difference. You will notice one edit. That's when we went off on too much of a tangent for even an unedited video. So we spared you that one, but you'll be subjected all the rest! Seriously though, I do hope its useful to be a fly on the wall during some pretty interesting and nitty gritty design work. By using the E-viewer file below, you can see but not edit the files. I’m working on a basic model that shows all the key components in place. This model (attached at the end) is pretty close. Here we see two bar end shifters. 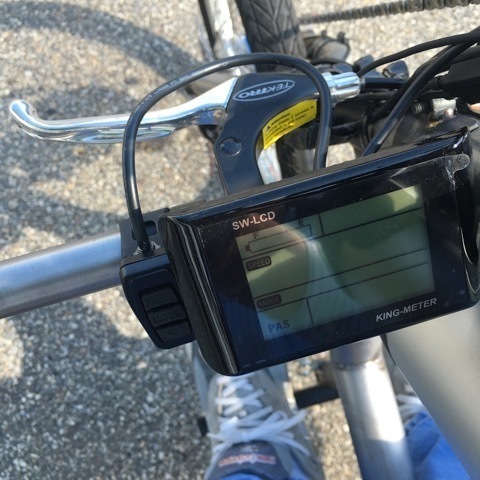 One will drive a 10-speed Shimano cassette that is compatible with the Bionx electric motor hub. The left one will control the front derailed and will be used as an index shifter. The right one will control the intermediate drive, which will have fewer than ten gears. The shifter will need to be used without the detents. 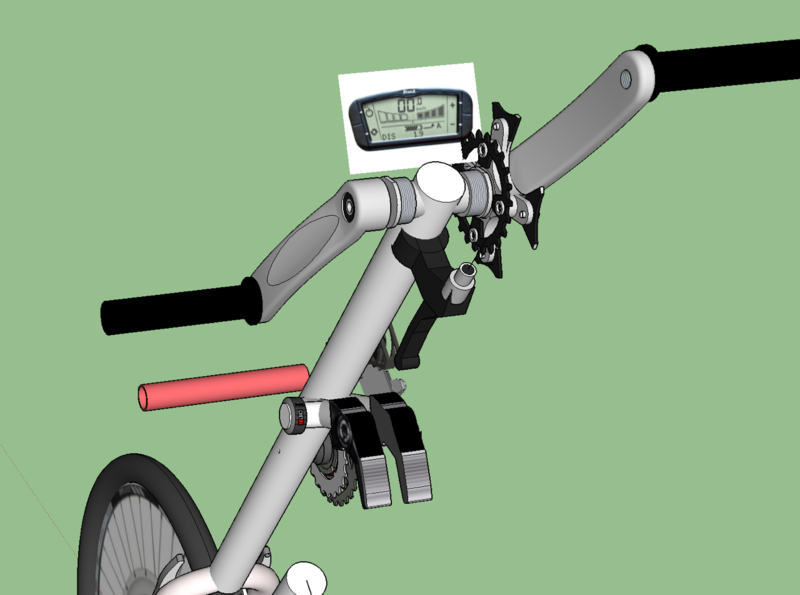 The model has a hidden geometry that shows the sweep of the pedals. Generally we like to keep the controls outside of the sweep of the pedals. The shifters fit between the pedal sweeps, but we need room there for the caliper brake. 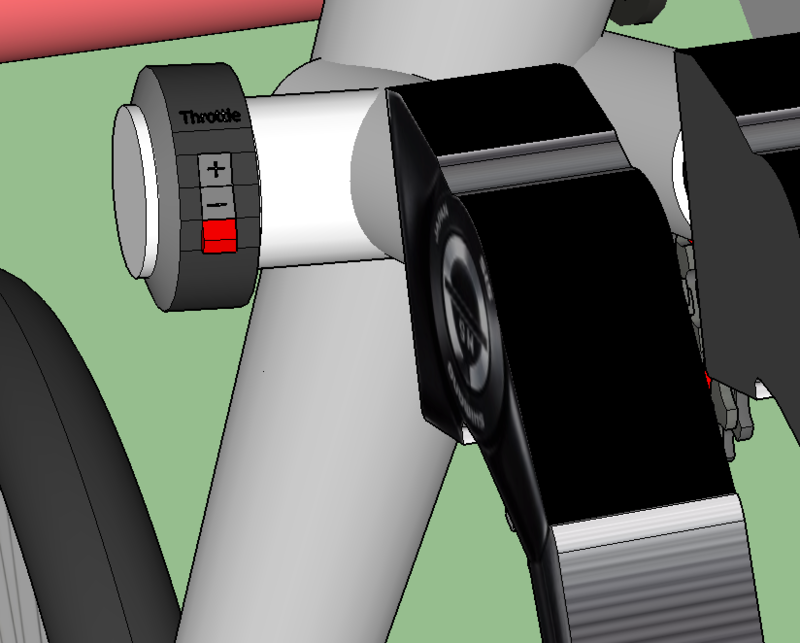 We’ll have to play with the fact placement of the shifters, which will probably be a clamp-on weldment that will move up and down the pedal tube. From this side we can see the two clusters and the two derailleurs. 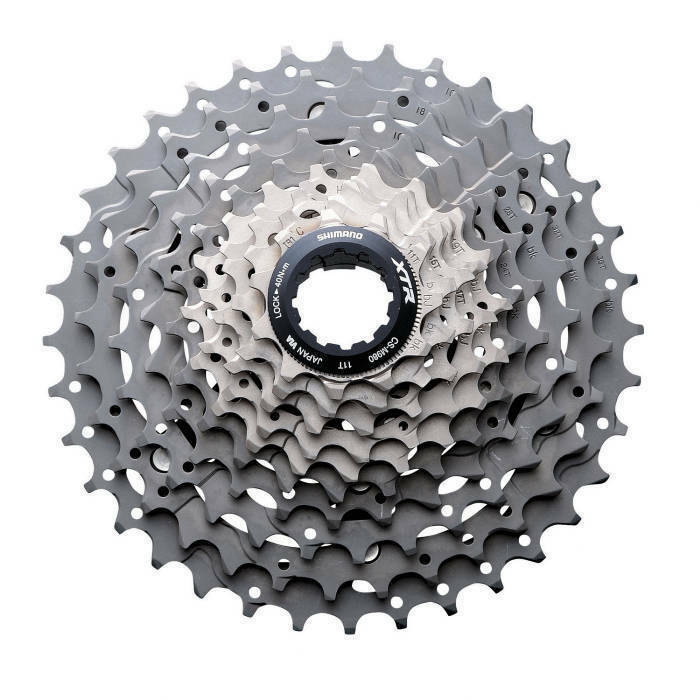 This gives us a wide range of gearing, which is key for up and down hills. 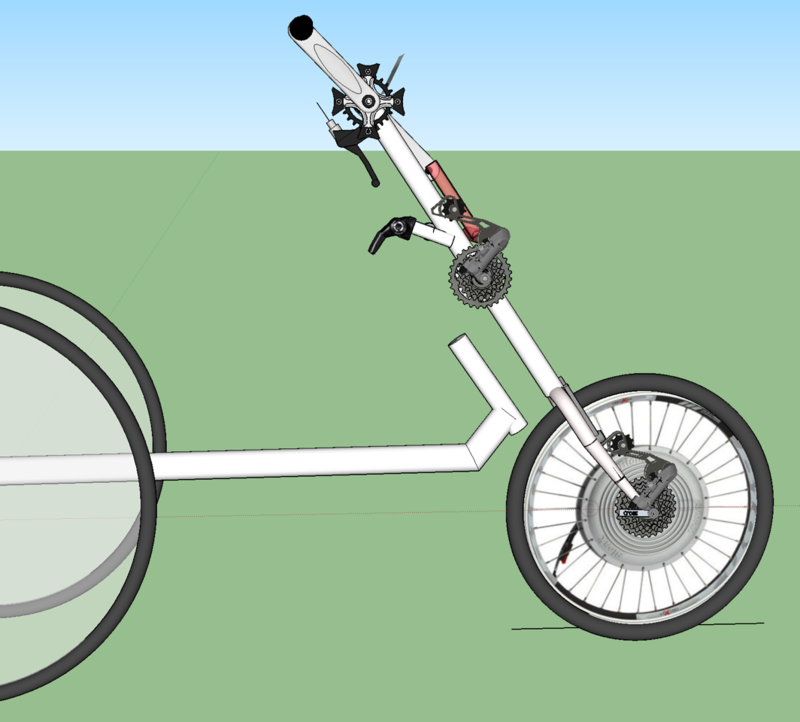 Even though the bike as an electric assist, we’re designing it to work well with no power at all. 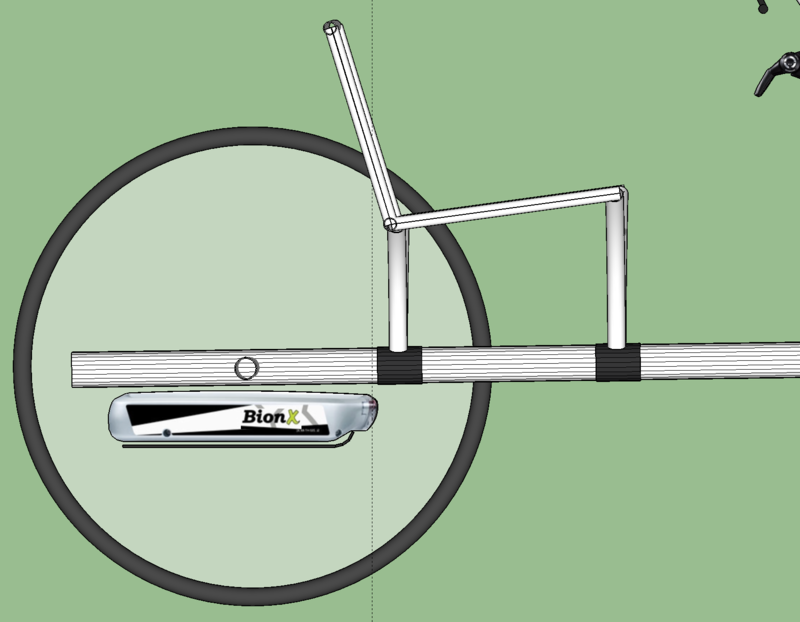 The front wheel showing the Bionx electric motor mounted in a 20” wheel. 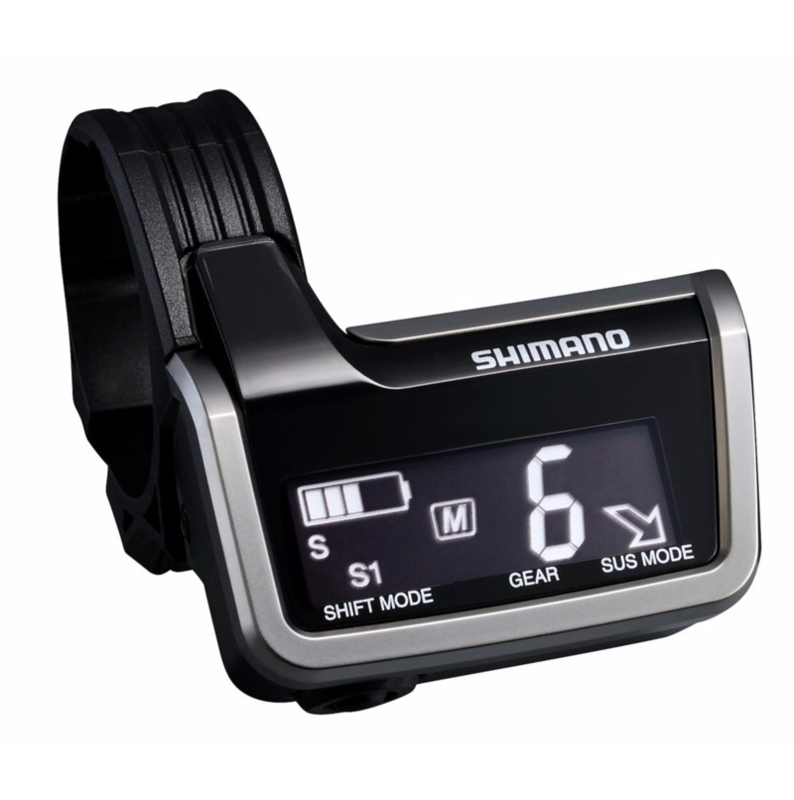 A Shimano 10 speed cluster will probably go 12 to 36. We will re-order the cogs in a cluster. We’ll keep the largest and the smallest. 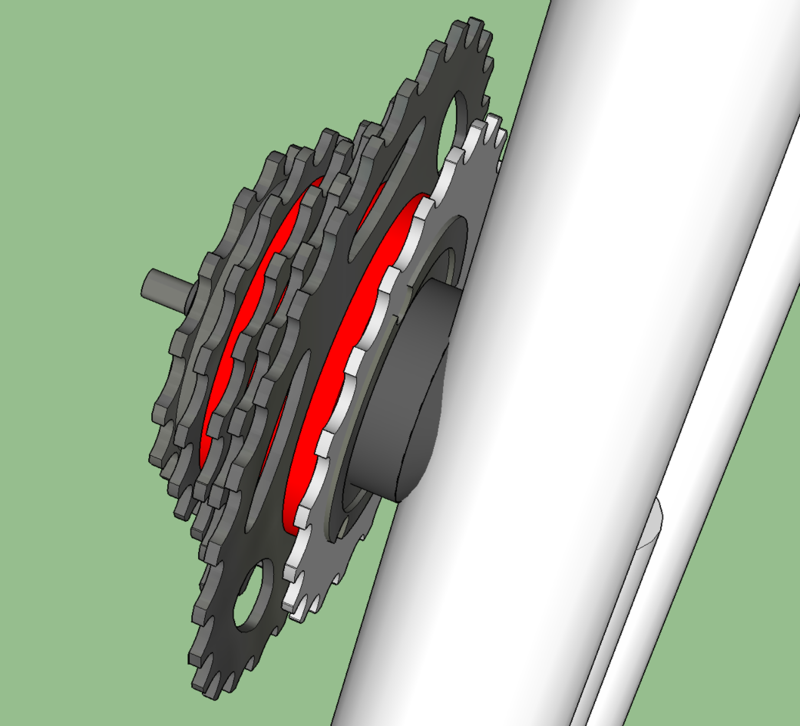 A smaller cog (shown in the lighter color) will be used to drive the chain to the front derailleur. The front wheel showing the two brake. 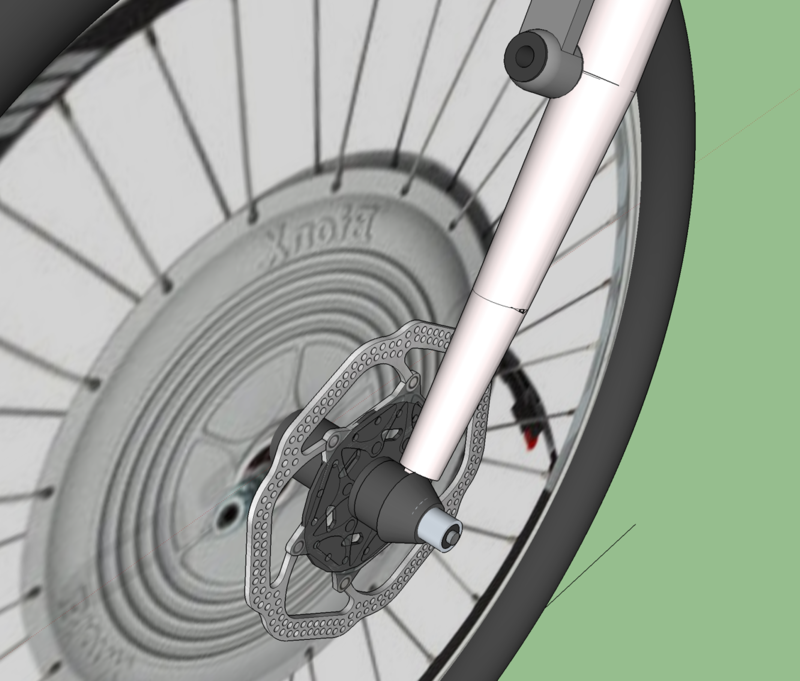 A cable-operated disc brake, and a V-brake caliper. Front end showing the disc. 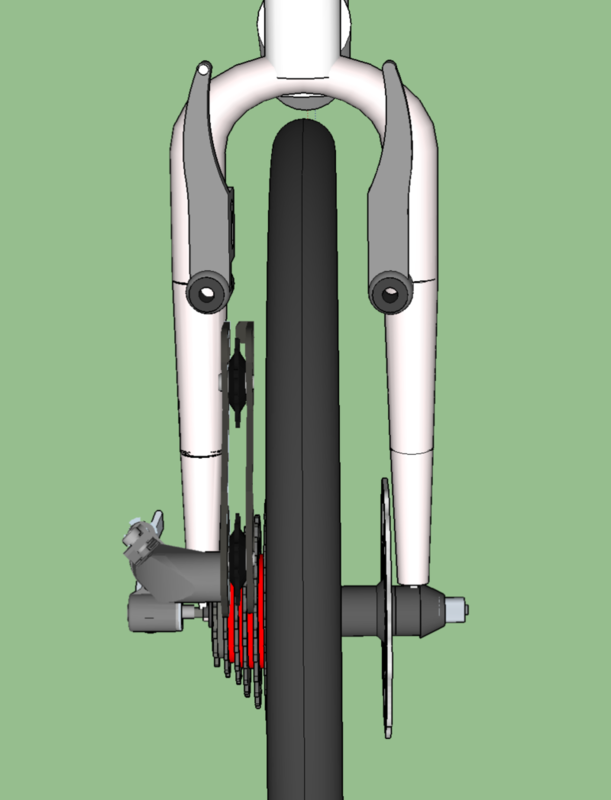 The disc brake caliper is not in the model. The disc itself is shown here at about 125 mm diameter. V-brake shown without brake pads. This is a nice solution because we don’t have to worry about mounting a caliper brake close to the tire. The pedals will be old-fashioned square taper mount. 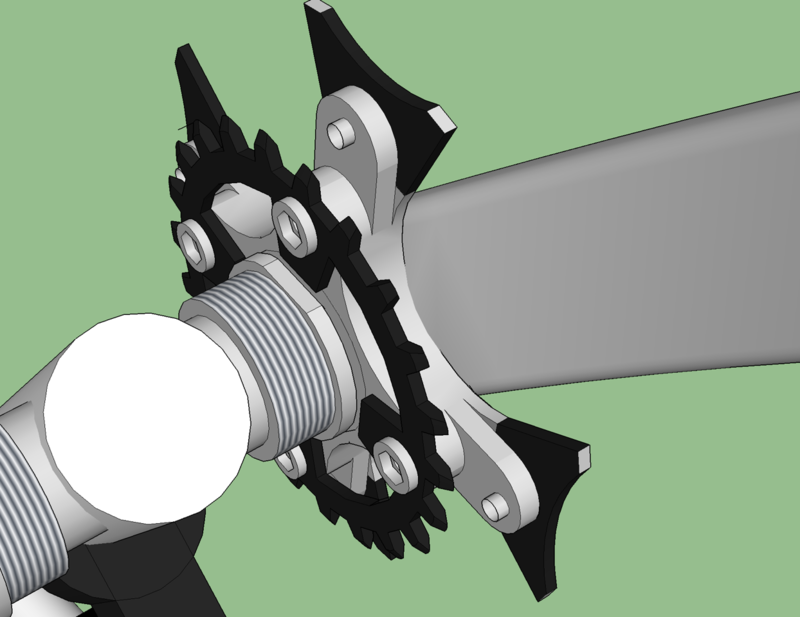 This is because we need a smooth axle for the backpedal brake (see later in this post) The model is showing a bottom bracket that is probably different than what we will use, but you get the idea. We need a small drive cog, about 25 t. We’d probably machine off the rest of the spider. The v-brake will be run by some handle mounted as shown. 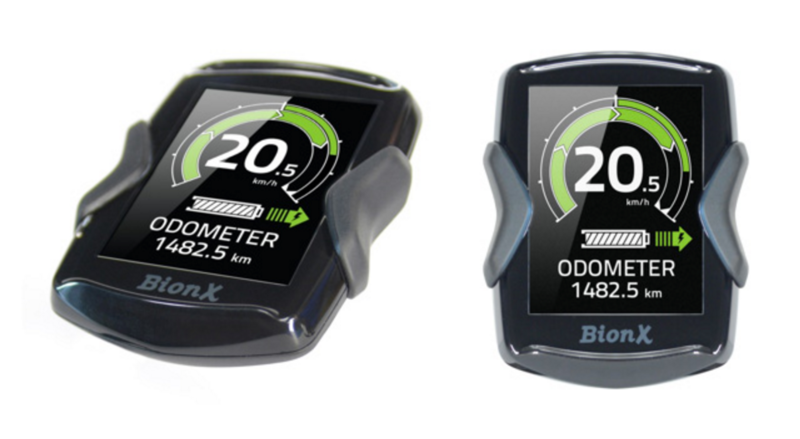 The Bionx comes with a display and controller. I think this will mount between the pedals for good visibility. We’ll have to see if that works to get to the controls, especially while pedaling. A closeup because I’m proud of my 3d modeling of the device. 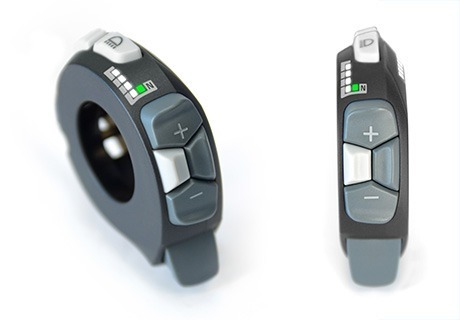 Here’s what the actual Bionx throttle looks like. Looks like it allows you to control everything without pecking at the screen buttons. That would be great for the Electric Handcycle. Their new display is much smaller. 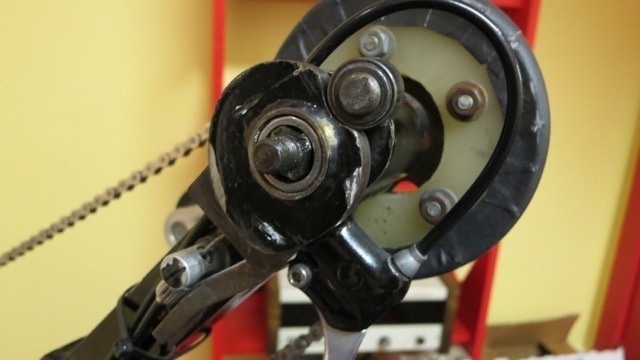 The backup brake shown from the New England Handcycle, with the pedal removed. The yoke shown removed with its cam follower attached. Note the brake cord where it inserts into the bottom of the yoke. This is the roller clutch. This is why we need a smooth axle that we can get by using square taper pedals. When the crank moves forward, this clutch does nothing. But as soon as you backpedal, the clutch engages, which make the cam (that it’s pressed into) rotate. The follower rolls up the cam, and that pulls the brake cable. 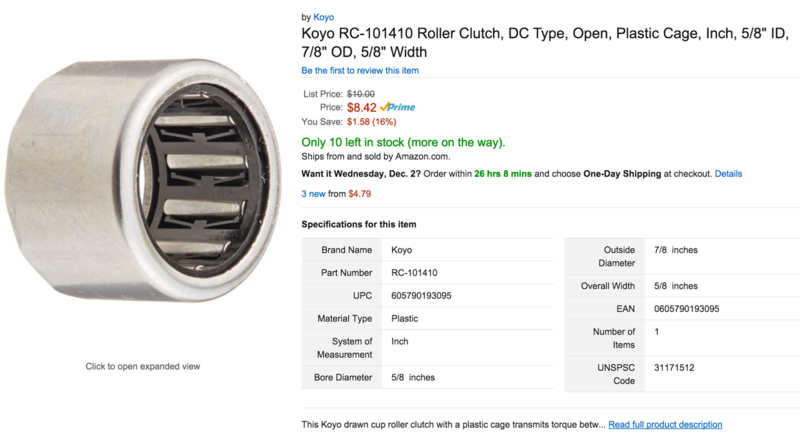 Just for the heck of it, here’s how to buy one of those roller clutches. Click below to download the model. You’ll need Sketchup 2015 or higher.